One of the reasons that it took me so long to review these dolls is that the collection has been released very gradually. 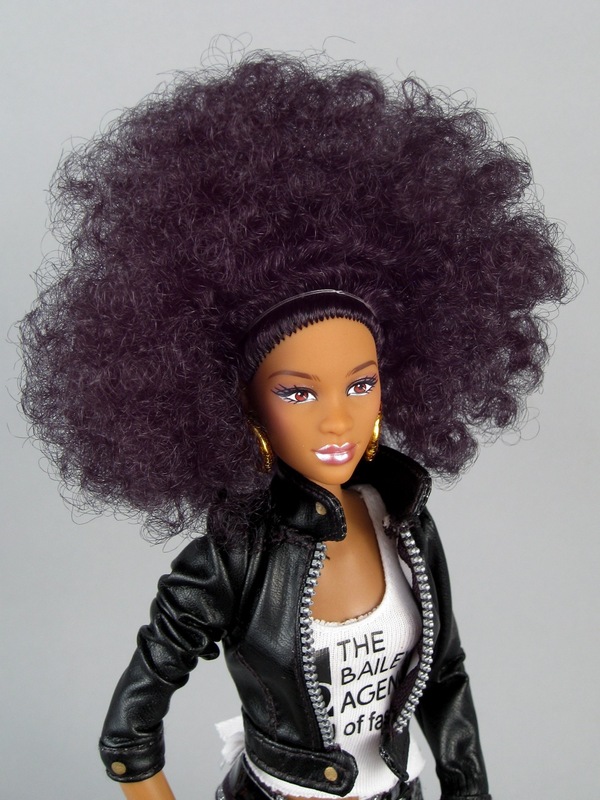 When I first looked at The One World Doll Project's website, I think only one doll had been released and she was already sold out. Now four of the five characters are readily available directly from One World Project...and from Toys R Us, Walmart and Amazon. 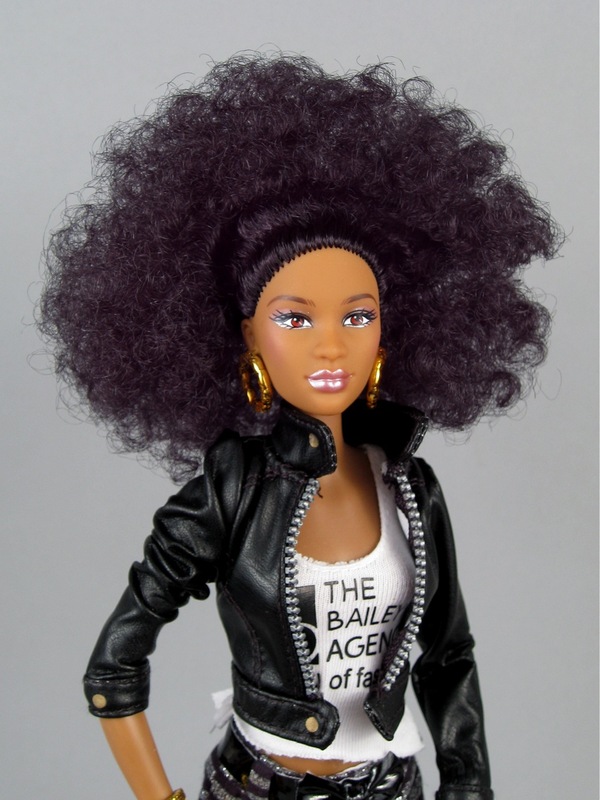 When the Cynthia Bailey doll was announced, I loved the look of her, but found the $70 price tag extremely daunting. I am not sure why this particular doll is so much more expensive than the others. I don't believe she is a limited edition. She was meant to come with a collector's pin and a special signed certificate, but my doll did not have either of these things (perhaps because she was discounted through Zulily?). I like the picture at the very bottom of the box--it's a caricature of Stacey McBride-Irby, the creator of the Prettie Girls dolls (and a former designer for Mattel, responsible for the Barbie "So in Style" line, among other things). 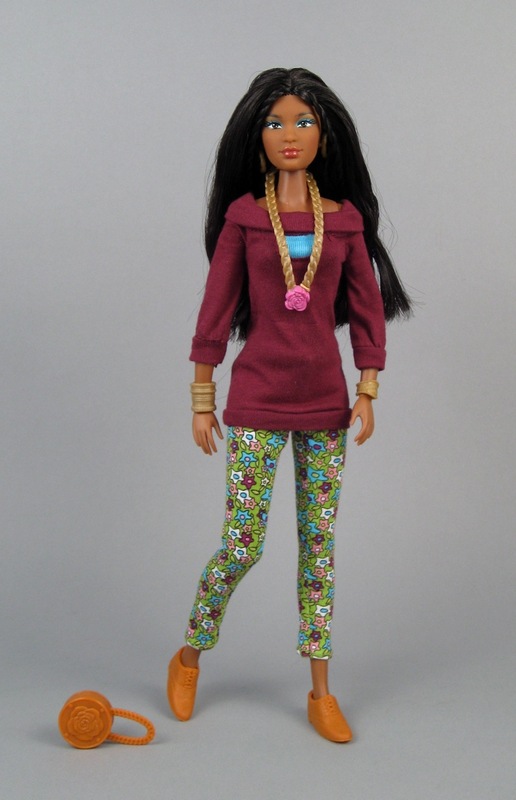 Keep the "classy, elegant business woman" quote in mind for later when we look at this doll's clothes. ...the doll is secured inside a molded plastic shell. I was hoping she'd just be tied into the cardboard box with ribbons--like a Tonner doll. 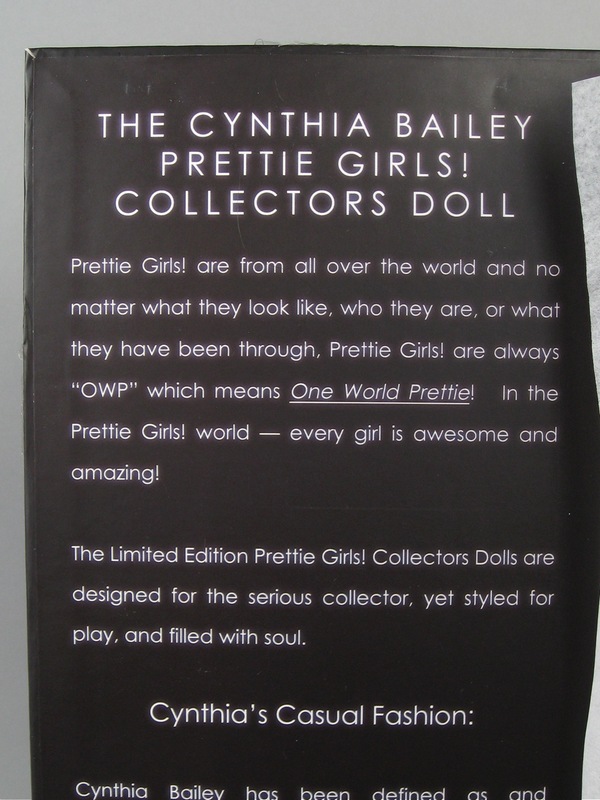 The Tonner packaging reference reminds me that there's a really adorable-looking new series of dolls coming from The One World Doll Project. These "Tween Scene" dolls are 16-inches tall and meant to portray younger versions of the Prettie Girl characters (there's also a new character, Hana). The dolls will be made in a partnership with Robert Tonner, and remind me a little of some of his other work. I would really love to review the Alexie and Dahlia dolls from this collection. They look very cute! I wish the doll was wearing that awesome fringe dress! 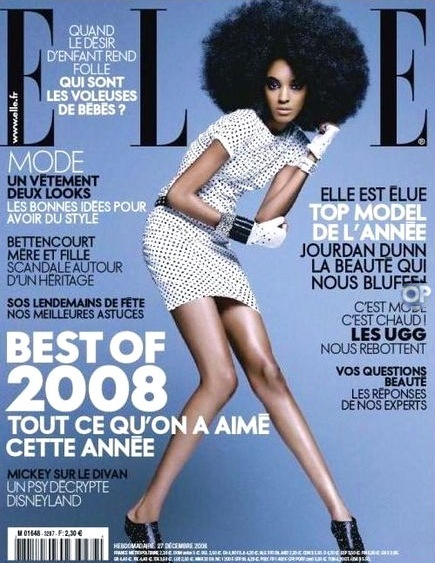 This volume of hair might seem unrealistic, but actually an afro style of this magnitude is quite fashionable and has graced more than a few magazine covers (Oprah's Magazine and Elle leap to mind...). I think the hair looks fabulous, although it's a bit hard to see Cynthia's face since the plastic shell pushes a lot of the curls forward. My brush is hidden away, don't worry! The ties are fairly easy to un-do without cutting the plastic. 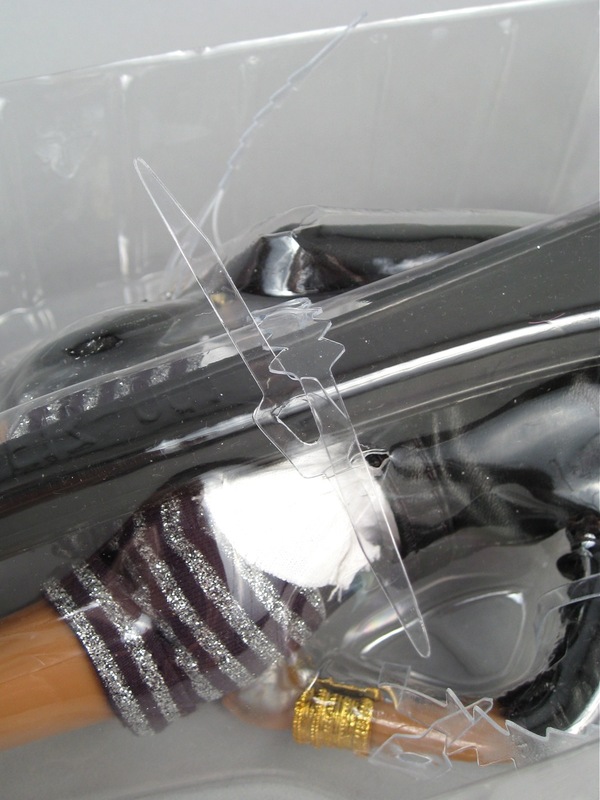 Unfortunately, there are also two plastic ties in Cynthia's head, but the shell barrier actually makes these ties easy to cut without risking damage to the hair. The base of the stand is tied to the plastic shell with a piece of white twine. It was a little hard to pull this twine out of the stand. "OWP!" stands for One World Prettie!" An acronym within an acronym. Cynthia does not have high arches on her feet, and yet the shoes have fairly tall heels. Back to the drawing board with these. 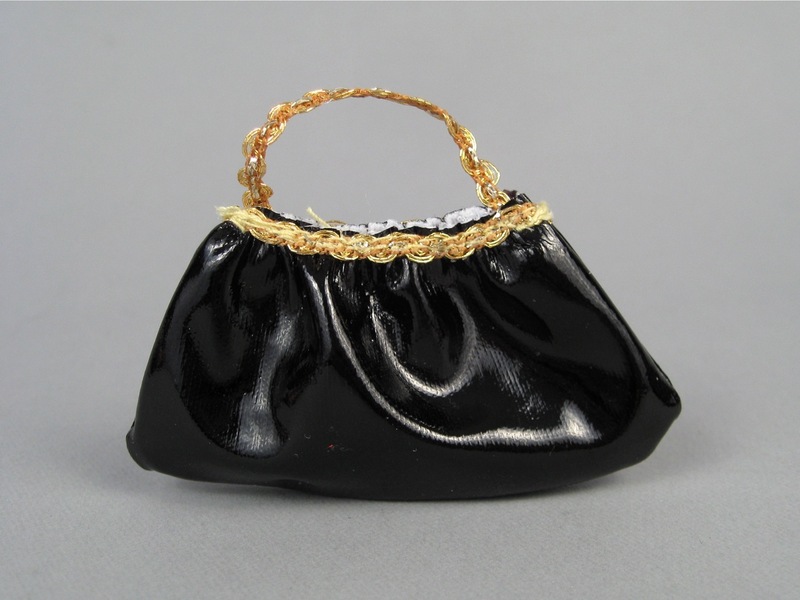 Cynthia comes with an imitation black patent leather purse with gold trim. The purse does not open, which is disappointing. Once I got Cynthia balanced on her stand, I gently (gently!) styled her hair with my fingers to try and move it away from the face. 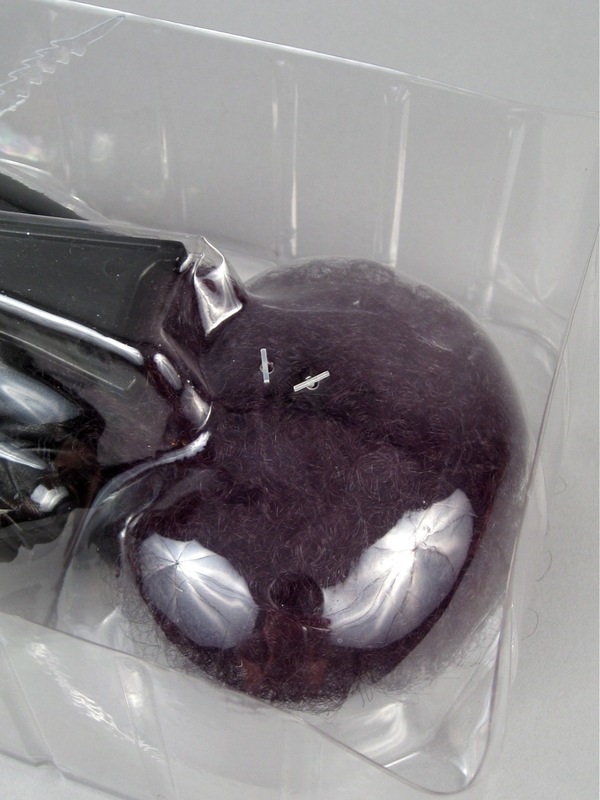 The texture of the hair is very soft and light--it feels really nice. The doll actually comes with a clear rubber band around her head--like a headband. This helped me adjust the hair without doing anything drastic. I slid the rubber band back away from Cynthia's face, and this pulled the top of her hair back just enough to show off her facial features without ruining the drama of the hairstyle. The clear rubber band as it came (left) and pushed back a little (right). 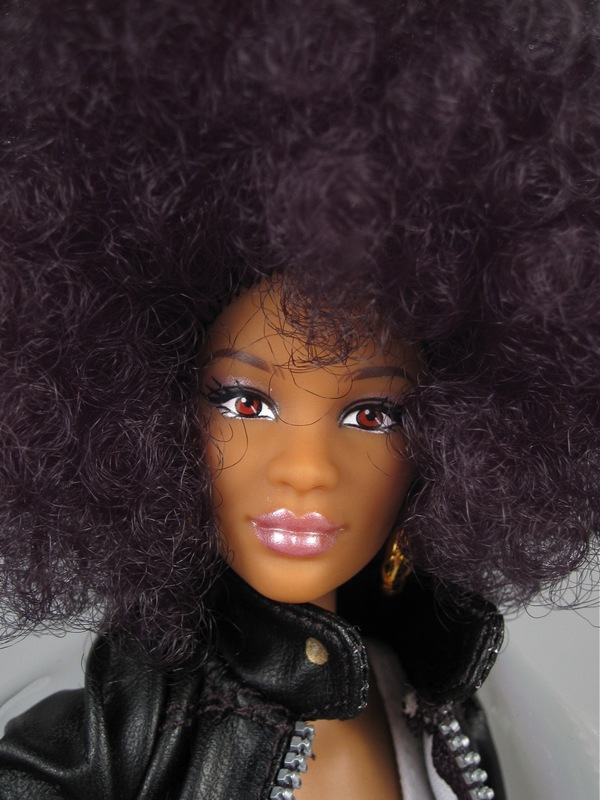 I think this doll has a beautiful, well-screened face. Her red eye color is the only thing that I don't love. The real Cynthia Bailey seems to have very dark brown eyes, and while the reddish color here is certainly striking (and makes for some neat photos..) it's not very realistic. The quality of the face seems higher to me than most play dolls, edging close to being as nice as a few collector's dolls. 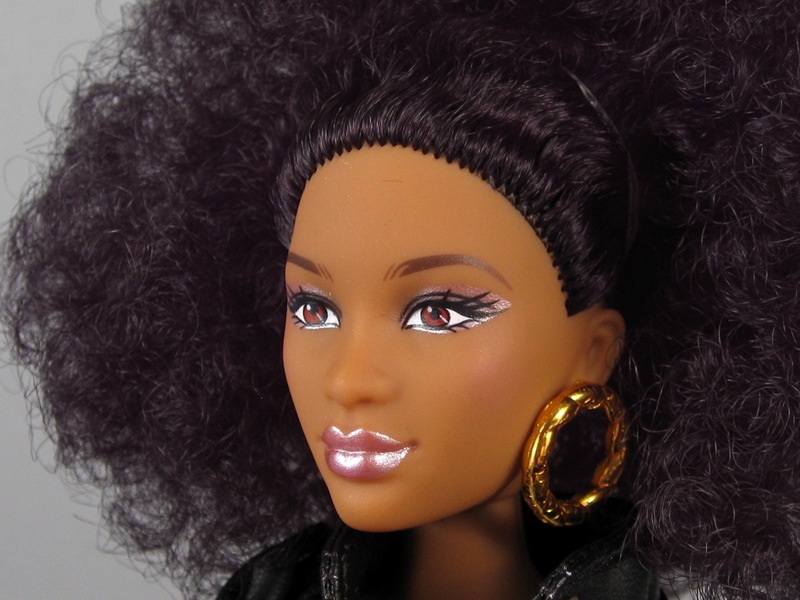 Cynthia's face and hair bring to mind Integrity's lovely Adele doll. I (briefly!) pulled the hair back into a ponytail so that I could look at Cynthia's profile. I really like the shape of her face. She reminds me of someone I know. 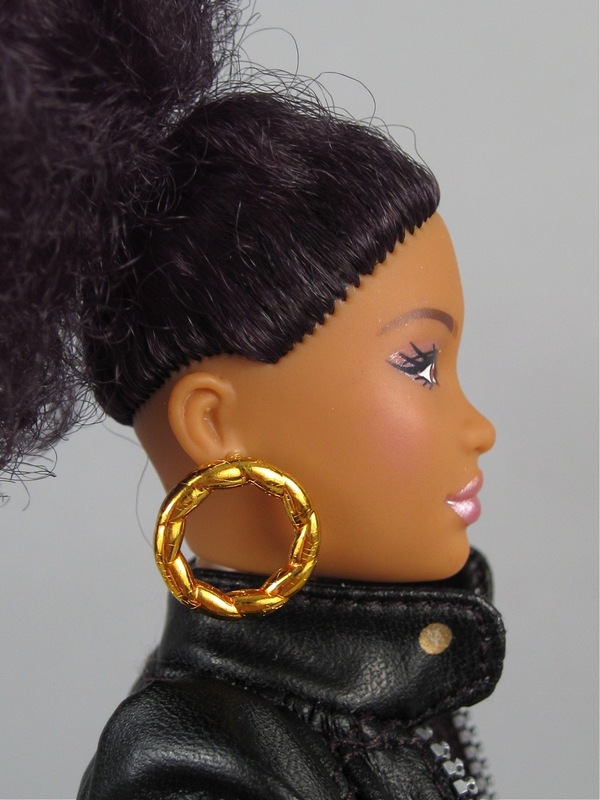 I like the large hoop style of these earrings, but they're pretty thick for the size of the doll's head. The paint job isn't perfect. 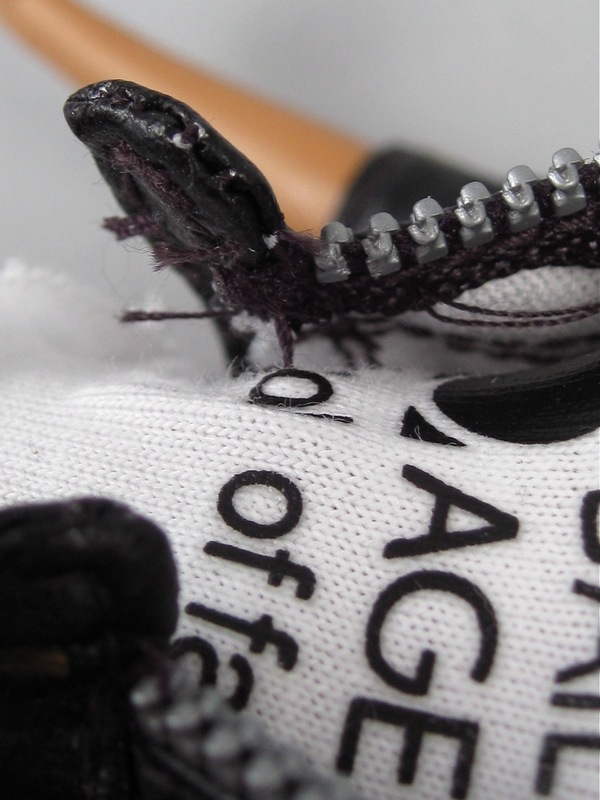 It's not a working zipper--just decoration. 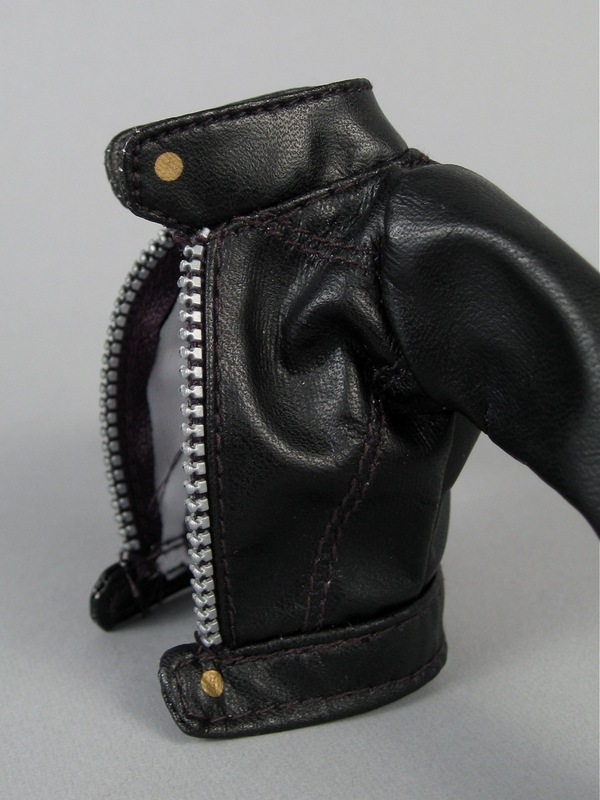 The jacket has decorative stitched seams on the front, and painted gold button accents at the collar and at the waist. 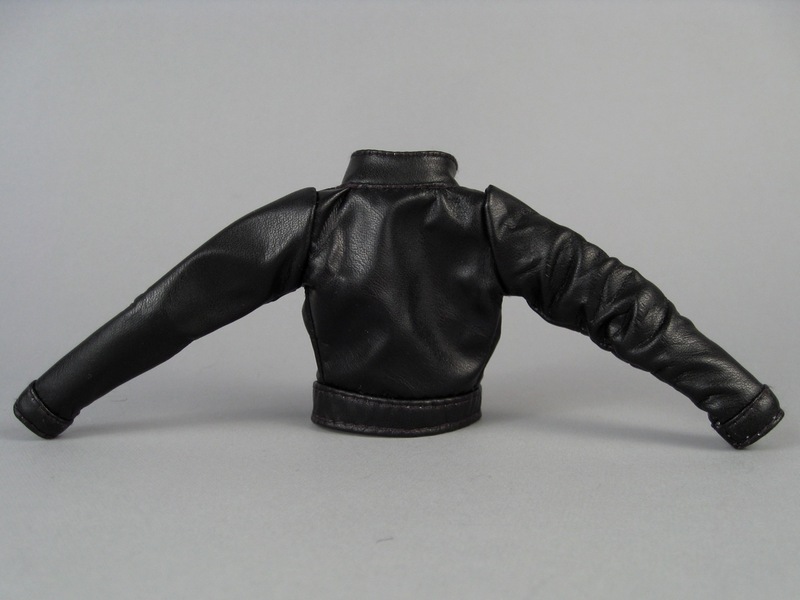 The jacket is not fully lined, but the collar and waistband are double-sided and very nicely finished. 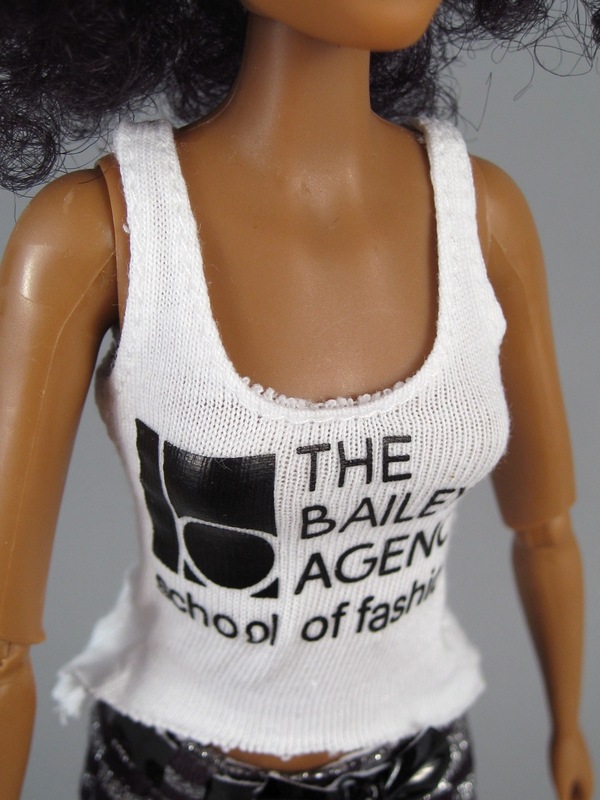 Cynthia's white cotton tank top has the logo for Cynthia Bailey's fashion school (which is a real thing). The tank top has an asymmetric, unfinished hem that is longer in back than it is in front. 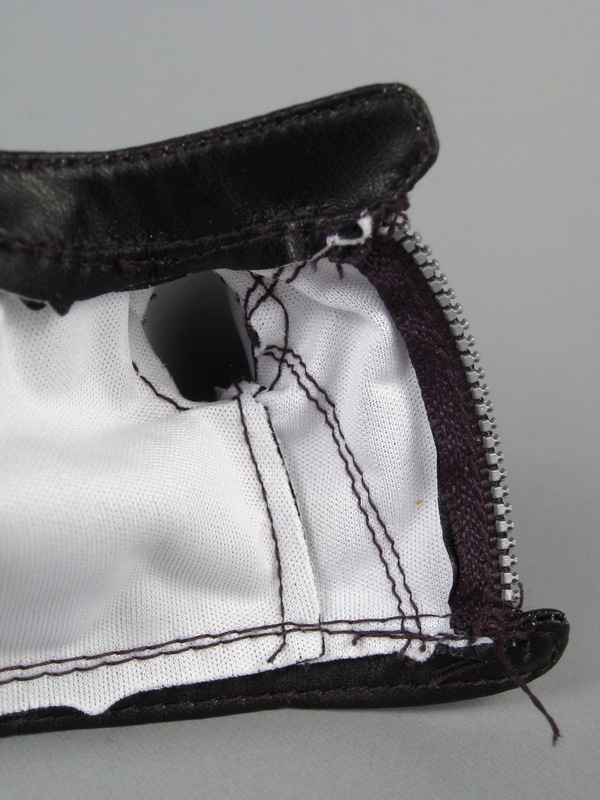 The shirt opens part of the way down the back and closes with velcro. This might have looked cool if it was intentional--to match the frayed edges of the bottom of the shirt. However, the look isn't consistent across the whole neckline, and so it ends up looking like a mistake. The printed words on the shirt are nice and dark and easy to read. 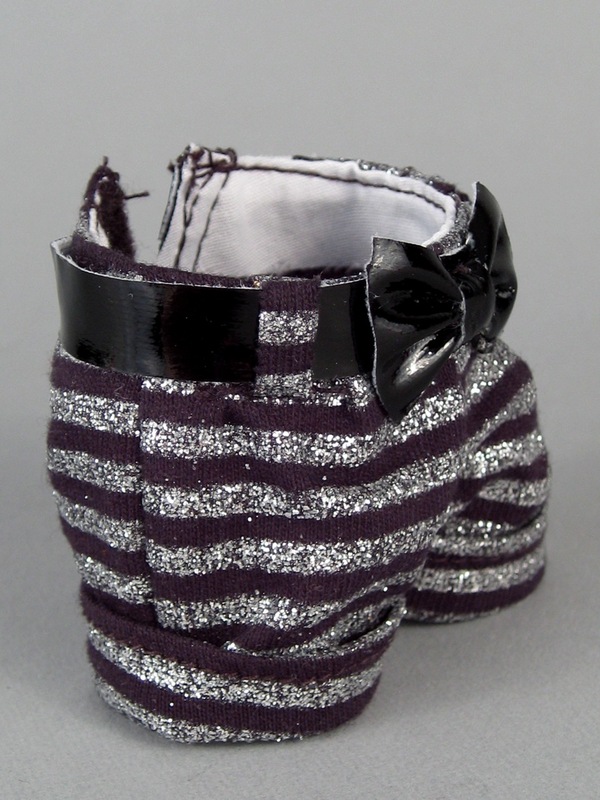 Cynthia's shorts are made out of a black jersey knit fabric and have applied silver glitter stripes running horizontally across their width. These shorts are lined around the waist, which reduces the risk of staining from the black fabric (note, the reddish cast in my pictures is not accurate. The main fabric of the shorts is actually a very true black that matches the patent leather belt perfectly). 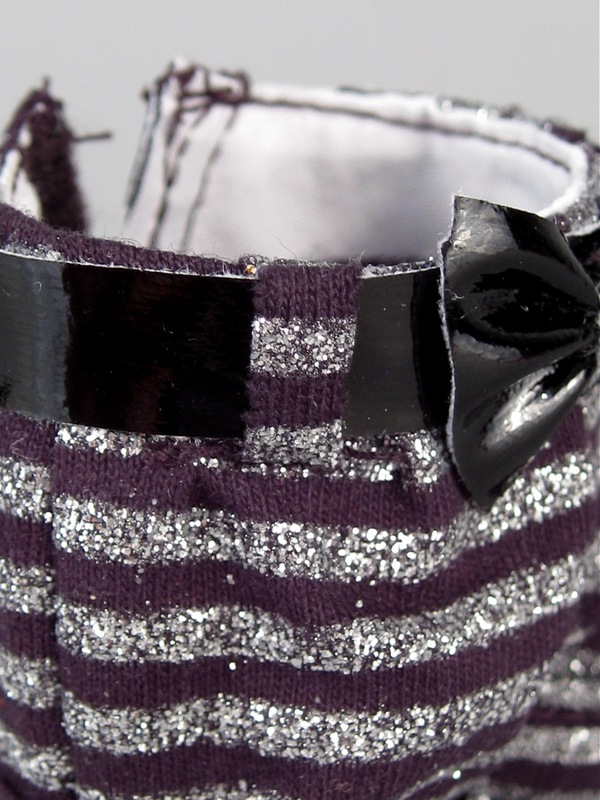 The jersey knit fabric is soft, but the silver areas give the material some stiffness. These striped shorts are cute, but I don't find them particularly work-appropriate or professional. 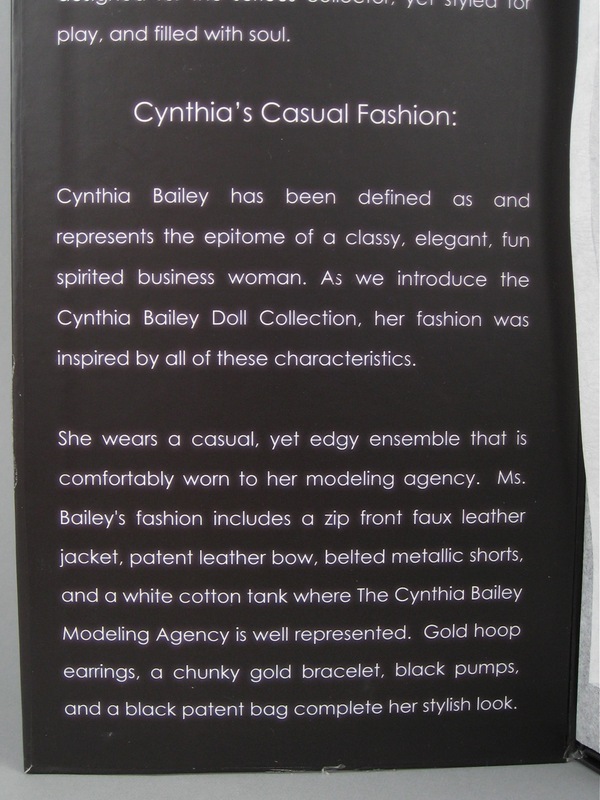 I don't know much about the real Cynthia Bailey, I'll admit, but going back to the description of her as a "classy, elegant business woman," do any of those terms apply to these shorts? Eh. I'd have preferred her in a fashionable dress, or in this same outfit but with leather pants on the bottom. 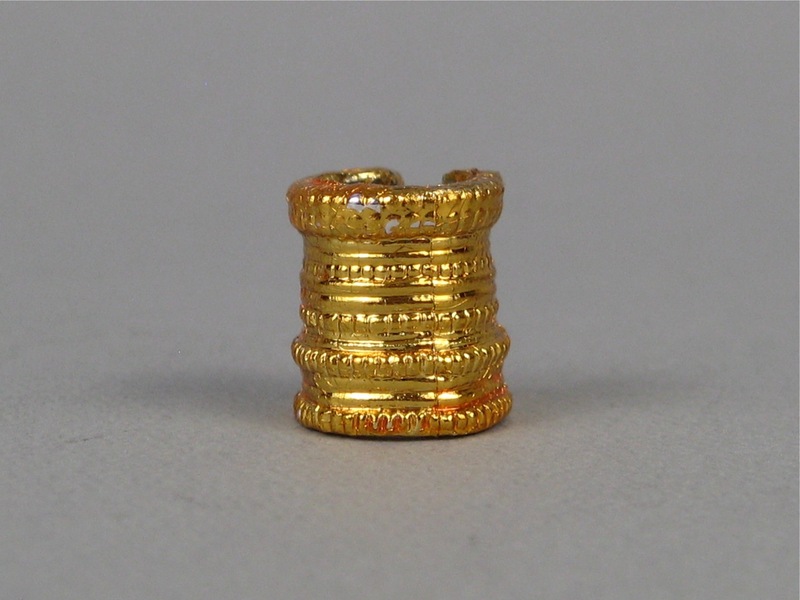 A more complete, full-coverage look would help rationalize the high price, too. I tried to find Cynthia another pair of shoes that might help her balance. Her feet have a unique shape. They don't have ultra-high arches like some fashion dolls, but they aren't flat, either. They have a nice, natural shape, but it is hard to find shoes that fit. The Prettie Girls body is made mostly out of high-quality hard plastic, but has vinyl arms, vinyl lower legs and a vinyl head. The vinyl has a little bit of bend to it, but is quite hard (I though the legs were plastic at first...) and not at all rubbery. 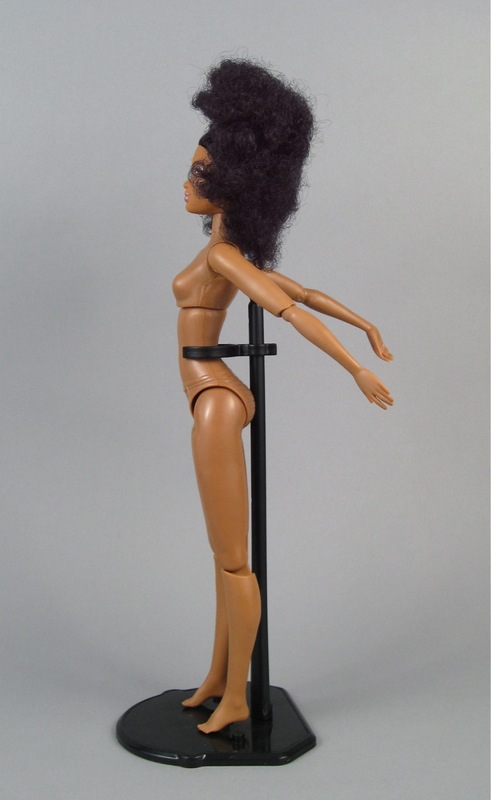 The body has ten points of articulation. The lack of wrist articulation makes it impossible for her to touch her face, though, and makes some of her poses look a little robotic. ...or closer together, although she can't sit with her knees touching. 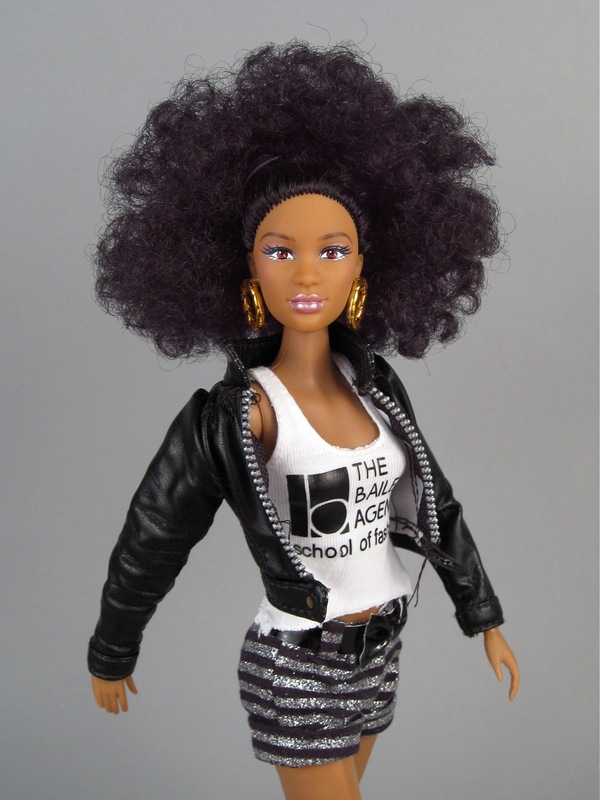 Barbie has more points of articulation than Cynthia. 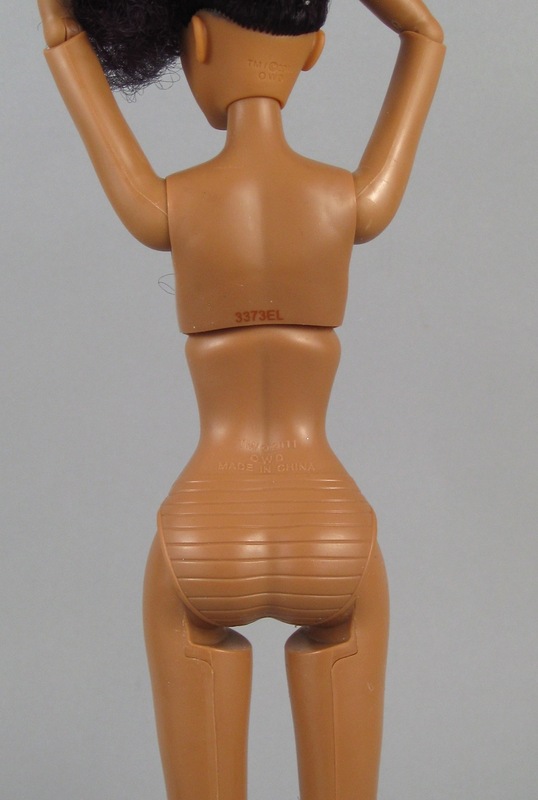 She has a head that can look up and down, articulated wrists, more flexibility in her hips, and rotation in her knees. 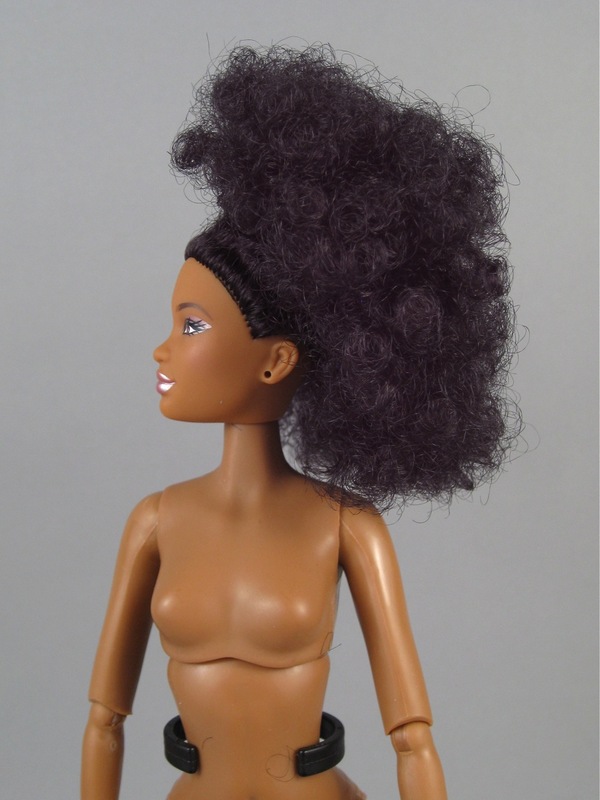 The dolls have similar shapes, but Barbie has smaller feet, a wider chest, a shorter torso, a smaller bottom, and skinnier appendages. 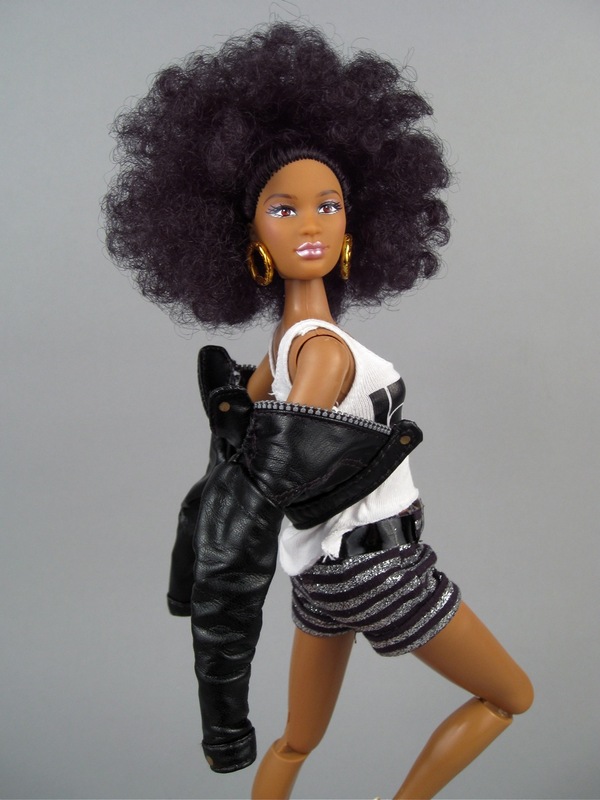 Overall, I like Barbie's articulation better, but I like the shape (and color) of Cynthia's body more. Many of her contours are more realistic, and she has more detail in her feet. Also, Cynthia's body has more weight to it, and feels higher-quality overall. 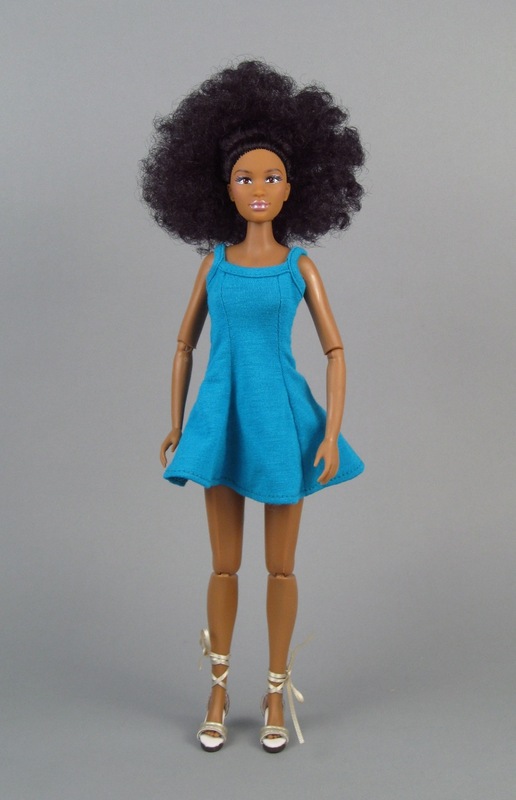 Although Cynthia's shorts and top fit Barbie (the shorts are very loose, but don't fall down) and Cynthia can fit into some of the Barbie dresses. The Pivotal body is taller and thinner in the hips than the Fashionista body, so Tara and Cynthia are quite different and can probably share even fewer clothes than Fashionista Barbie and Cynthia (I don't own any Pivotal Barbie clothes). Cynthia has much, much better articulation than Opal. I appreciate Opal's more average proportions, but I do think Cynthia's body has a pretty shape. Opal can not wear Cynthia's clothes, but Cynthia can fit into Opal's dress. The fit isn't great, though. One nice thing is that Opal's shoes seem to have about the right arch shape to allow Cynthia to stand up normally. It isn't a perfect fit, but it's the best I could find....and it proves that the right shoe makes a big difference. Too bad these shoes have laces that are difficult for my clumsy hands to tie! Dahlia is from New Delhi, India. Dahlia is a gorgeous name (love it!) but I have to say that typing "Dahlia" and "Delhi" gets very confusing. I imagine it's even more difficult for Dahlia. I mean, try introducing yourself as "Dahlia from Delhi" six times and see how it goes. "You can always count on Dahlia for a good, belly aching laugh! With an energy that is electric, Dahlia is a natural born comedian, and loves being the center of attention. With a brilliant mind and quick-wit, she is loved by all, especially by her adorable puppy, which she rescued from a shelter, named Chance! Through her humorous and caring spirit, she encourages her friends to volunteer their time, skills & allowance money to give back to their communities. She is passionate about doing her part to save the planet and wants you to do the same – are you recycling?" There's also a short cartoon on the website (with the same graphic style as the box art). This clip is about bugs eating Dahlia's flowers, and Dahlia not wanting to kill the bugs. To be perfectly honest, this video is a little creepy to me. I did not enjoy it. I think it's particularly interesting to contrast the character descriptions of the Prettie Girls to those of the Madame Alexander Travel Friends. Both brands have created a series of characters from different countries and have given the dolls short backstories. Madame Alexander tries to incorporate hobbies that are different from what kids in the United States might be used to (cricket, Irish dancing) although the descriptions are lacking detail and accuracy. 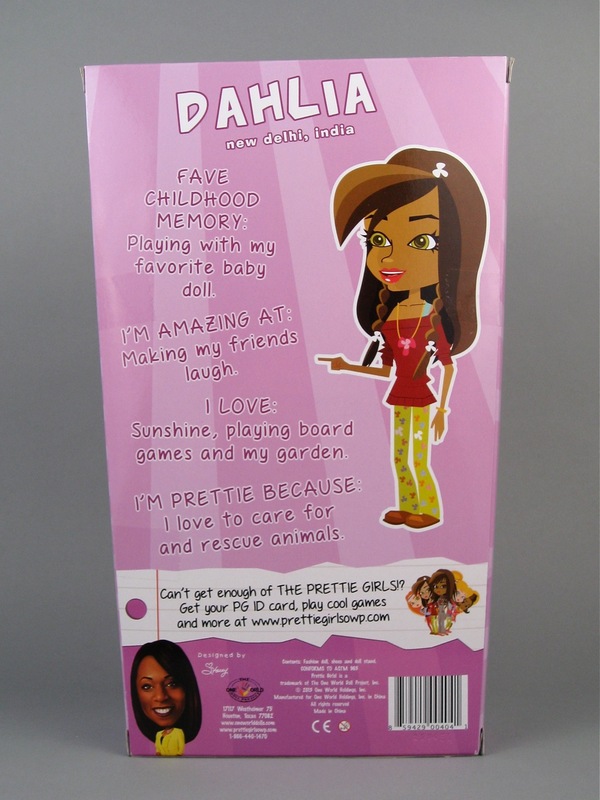 The Prettie Girls' character descriptions don't have any real cultural distinctions--they could interchanged with teens living in the United States. I suspect that this is on purpose, to highlight the similarities that kids across the world share. I can't help but be curious, though, about how life for a teenaged girl in New Delhi is different from the lives of the teenagers I know. In fact, rather than the strange little cartoon on Dahlia's webpage, I'd love to see a short documentary describing the day-to-day life of a girl living in India. 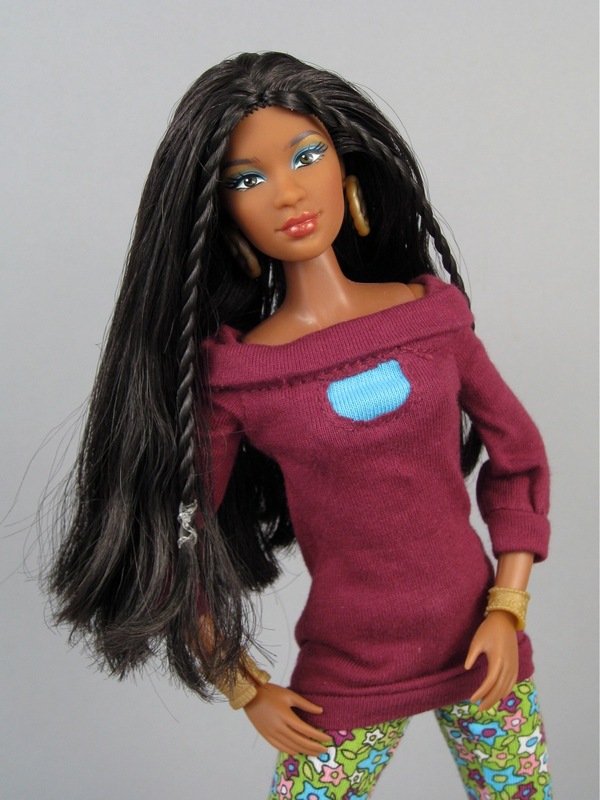 Dahlia has long, thick black hair with twists at either side of her face. The hair is ever-so-slightly greasy with hair styling product, but it's not crispy at all and the hair is easy to manage and has very little static trouble. 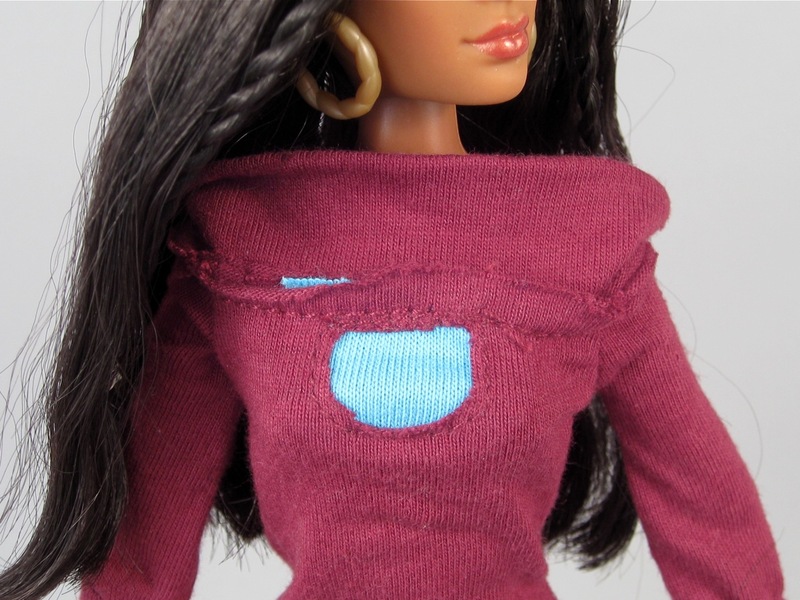 Dahlia is wearing a cowl-necked knit cotton shirt with three-quarter sleeves and a blue accent on the chest. 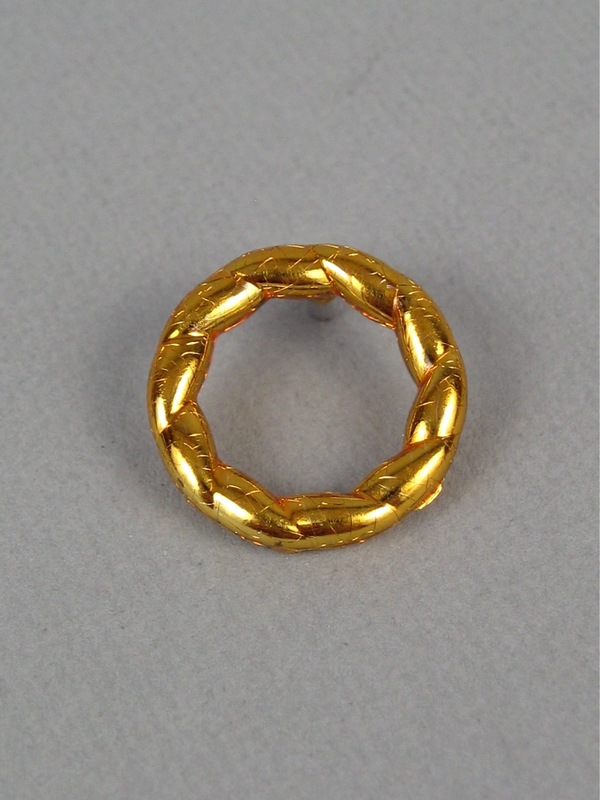 This piece of jewelry doesn't do anything for me. I wish it had been made out of something other than vinyl (gold braided cord, maybe?). It's just too stiff and clunky to look like a real chain. 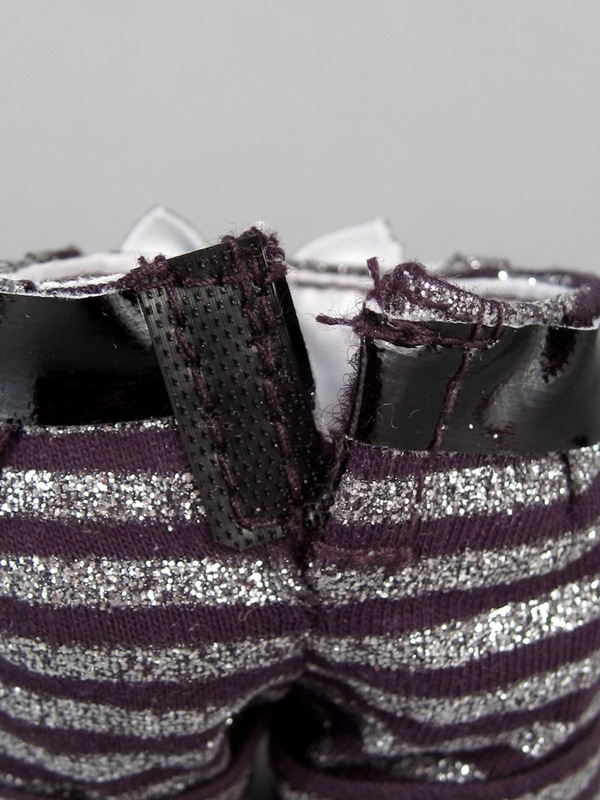 Dahlia has flat-soled vinyl saddle shoes that I thought might allow her to balance better than Cynthia, but these shoes end up having the opposite problem: not enough arch to help the doll balance. She's very prone to tipping over backwards. The shoes have a great molded design, though. Dahlia has olive green eyes and three layers of eyeshadow: an inner opaque turquoise layer and then two sheer, glittery layers of green and yellow on top of that. This number of colors could easily look garish and overdone, but I think the layering here works very well. Her lips are painted with a dusky rose shimmering gloss. The only thing I'd change about this face is to have the eyebrows be a little darker--and maybe thicker. I think that would give Dahlia an even more distinctive look. 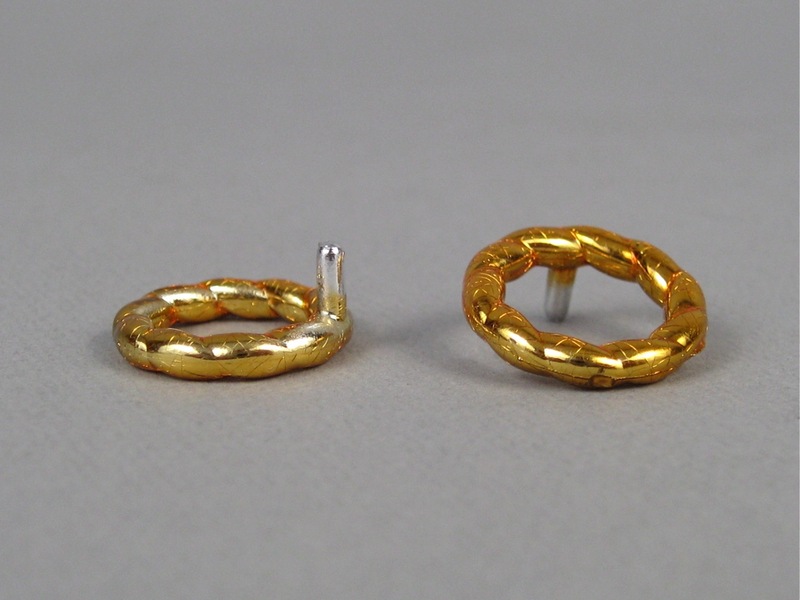 Dahlia is wearing the same style of hoop earring as Cynthia (same mold) but her earrings are not painted, they are made out of a non-metallic gold vinyl. These two have such different looks...it's hard to choose which one I like best. Dahlia has a warmer tone to her complexion, but Cynthia's hair is spectacular. Dahlia's hair can be brushed and styled, though. I prefer Dahlia's green eyes to Cynthia's red ones, but I like the natural tones of Cynthia's makeup. I like Cynthia's top better than Dahlia's, but Dahlia's pants are my favorite single piece of clothing between the two. They're a neat pair, and they make me want to see all of the other characters (especially the redheaded Alexie!). 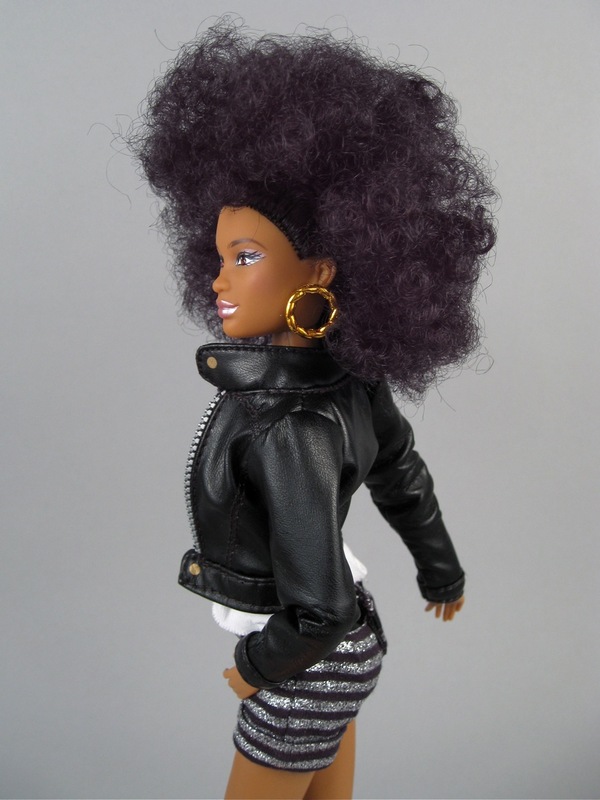 Since this was primarily a review of the Cynthia Bailey Prettie Girls doll, I'll end the post by showing you a few more pictures of her. ...but decided that I like it much better when it's loose and just pulled away from her face a little by the thin rubber headband. Bottom line? 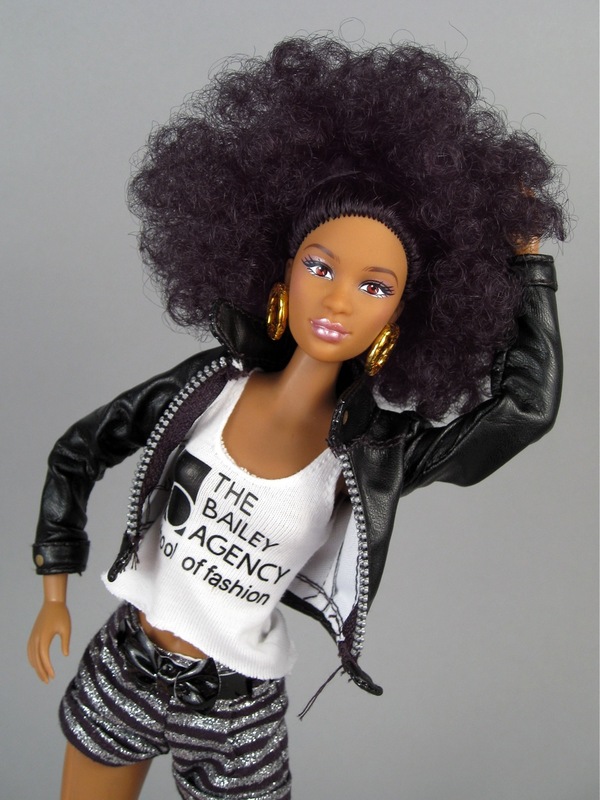 Barbie is such a market behemoth, it's hard to look at a new 12-inch fashion doll brand like the Prettie Girls without comparing it to Barbie--especially since the Prettie Girls are created by Stacey McBride-Irby, a former designer for the Barbie franchise. I think what Ms. McBride-Irby has done with this line is very clever. 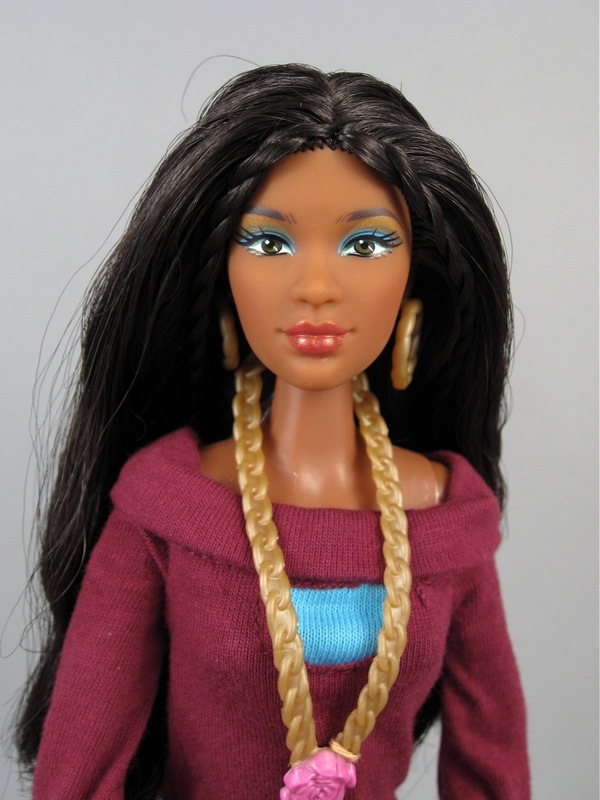 The dolls are similar enough to Barbie that they could easily be included in any Barbie-dominated game or collection, but they also offer a higher level of quality and more ethnic diversity than Mattel's dolls, giving them a potentially solid niche in a highly competitive market. The Prettie Girls almost seem like a collectors' doll for kids--similar to what Robert Tonner tried to do with his City Girls. 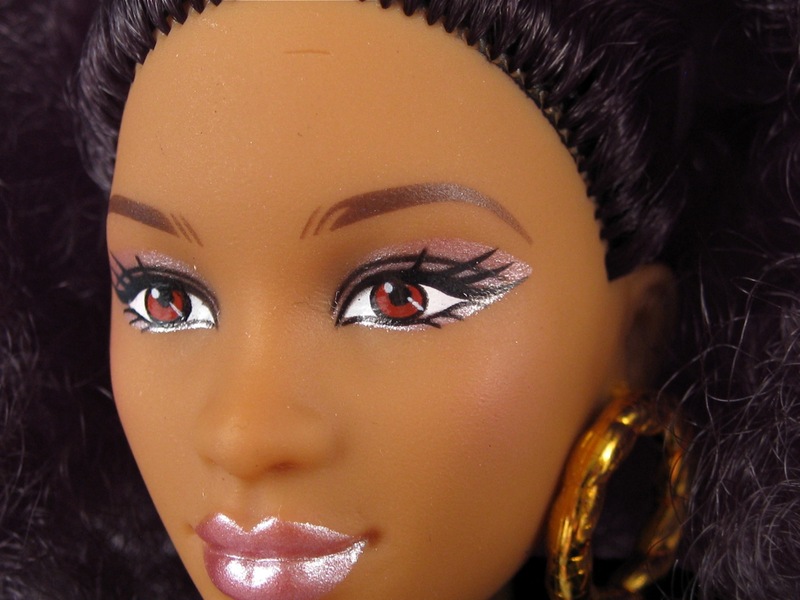 The quality of the Prettie Girls dolls is impressive. I think the dolls have a good level of articulation and all of the joints move smoothly and feel sturdy. 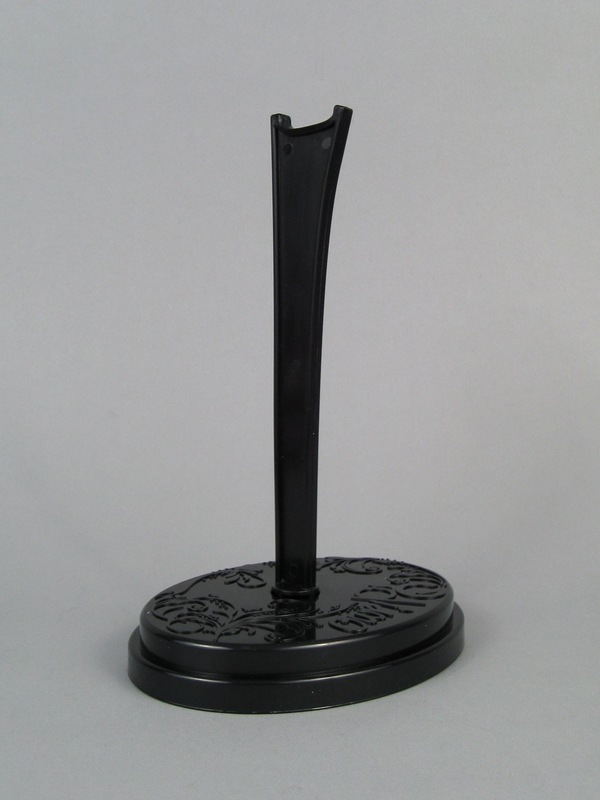 The bodies are made out of high-quality plastic with hard vinyl extremities that do not warp and do not interfere with the movement of the joints. 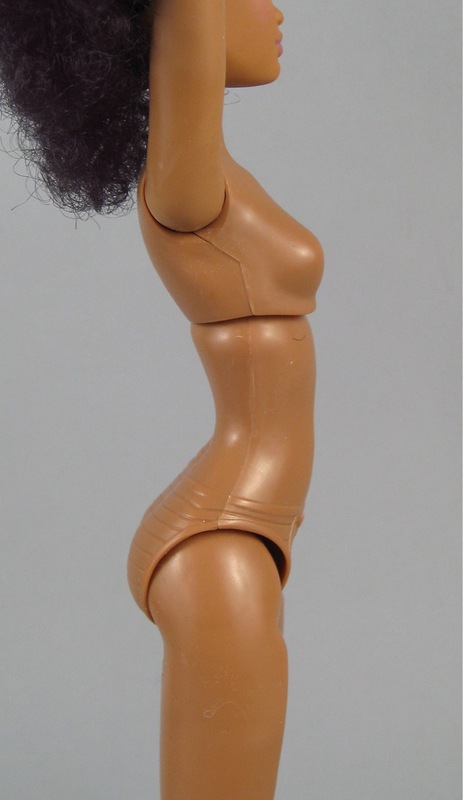 The dolls have a good weight and their bodies have an attractive shape that is reasonably distinct from other brands--especially in the hip region (and feet!). 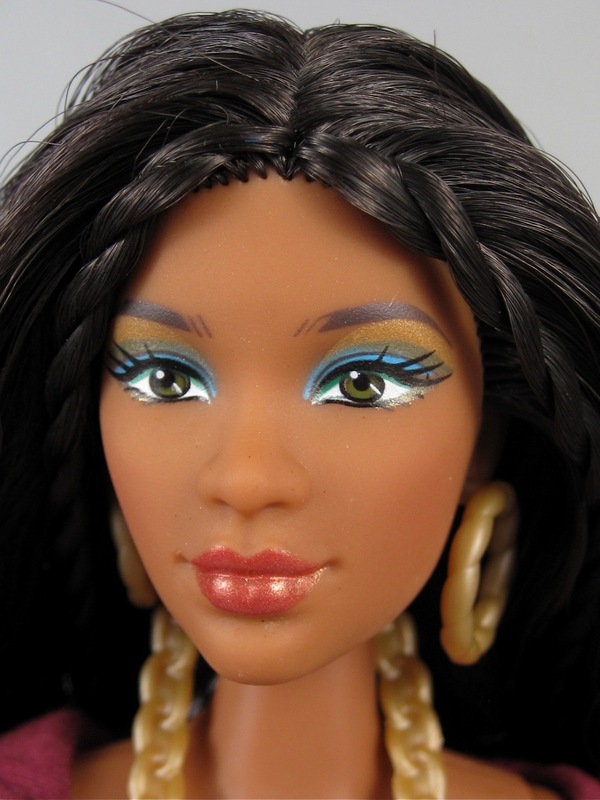 The face paint and hair on these dolls is especially nice. Although I am not crazy about Cynthia Bailey's red eye color, I like the style and accuracy of her facial screening. Dahlia's makeup has beautiful colors with just the right level of drama. I found both of these dolls' faces very fun to photograph. 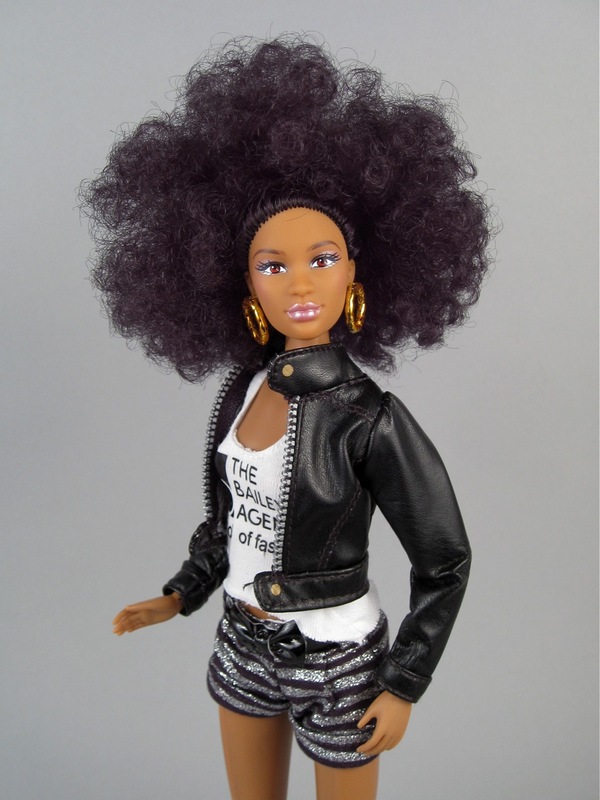 I think the Cynthia Bailey doll's natural hair is fantastic, with a style that is hard to find in the fashion doll world. 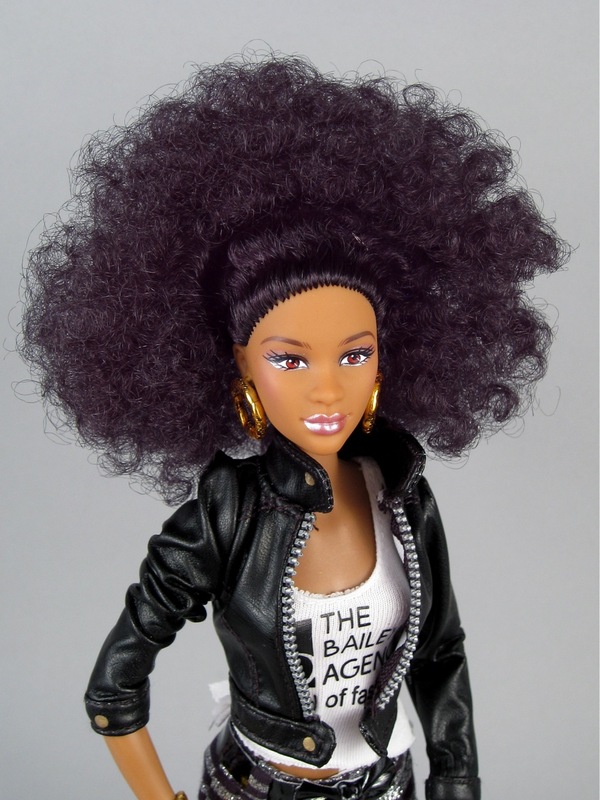 I'm not sure that the hair alone justifies this doll's $70 price, but it certainly helps. Dahlia's hair is also very nice: it's well-rooted, feels great, and comes in an attractive, versatile style that's fun to play with. The clothing on the Prettie Girls is generally well done. 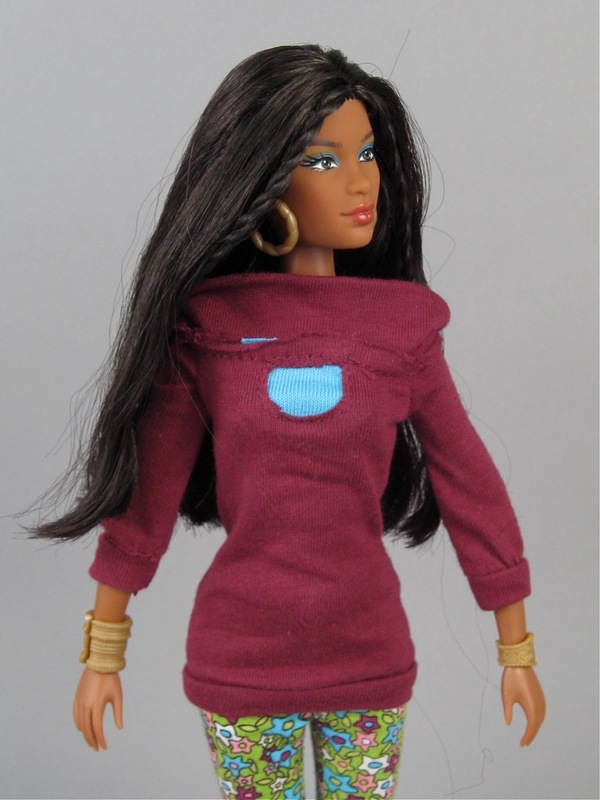 The quality is significantly higher than most Barbie doll clothes. The clothing designs are interesting (though not always to my taste...) and the construction is solid overall. There are a few small things about these dolls that I would like to see changed. While the articulation is great, I always want more. I think jointed wrists and rotating knees, in particular, would make a really big difference in how these dolls move and pose. Also, the shoe design is frustrating to me. I like the look of the shoes--especially Dahlia's saddle shoes--but neither pair of shoes fits the arch of the dolls' feet. 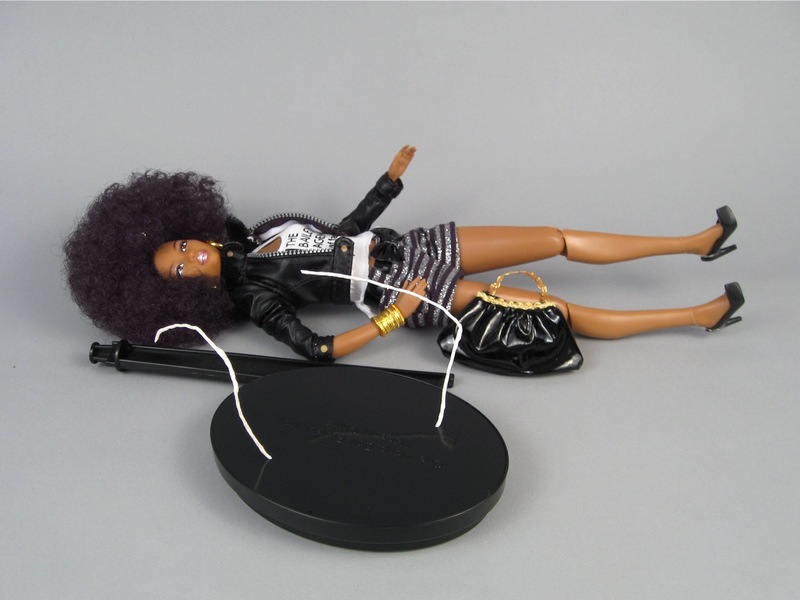 As a result, the dolls can't stand up on their own very well. This is frustrating because I feel like the solid construction of the dolls' legs should allow them to balance quite well...if only their shoes fit properly. I actually really like the shape of the Prettie Girls' feet, it's very realistic, attractive, and different from other brands. 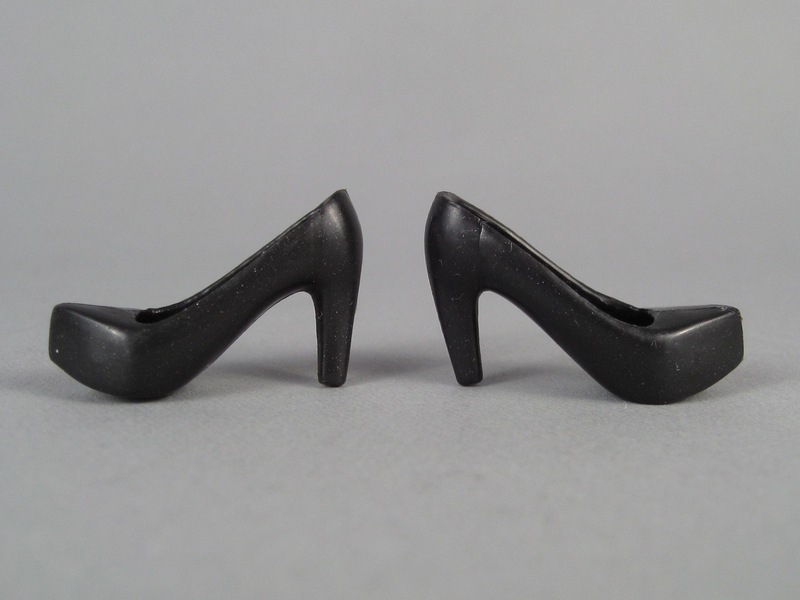 However, this uniqueness makes it hard to find other doll shoes that will fit. 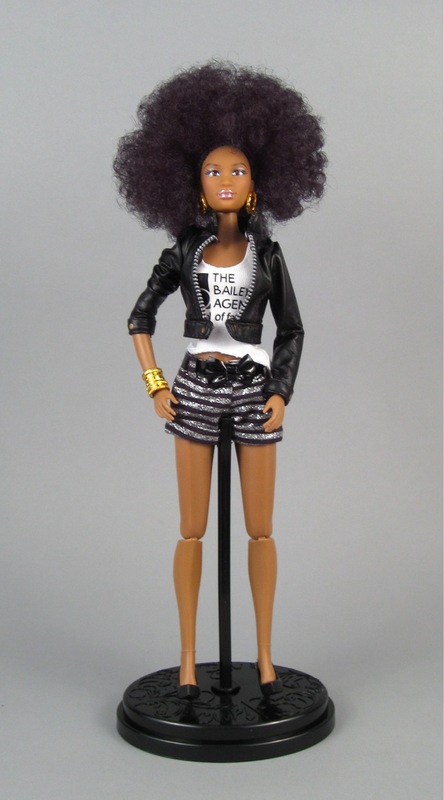 Overall I like the creative designs and construction of the Prettie Girls clothing, but the Cynthia Bailey doll's outfit (mostly the shorts) does not seem very professional or work-appropriate. I'd love to have seen some nice leather pants instead. 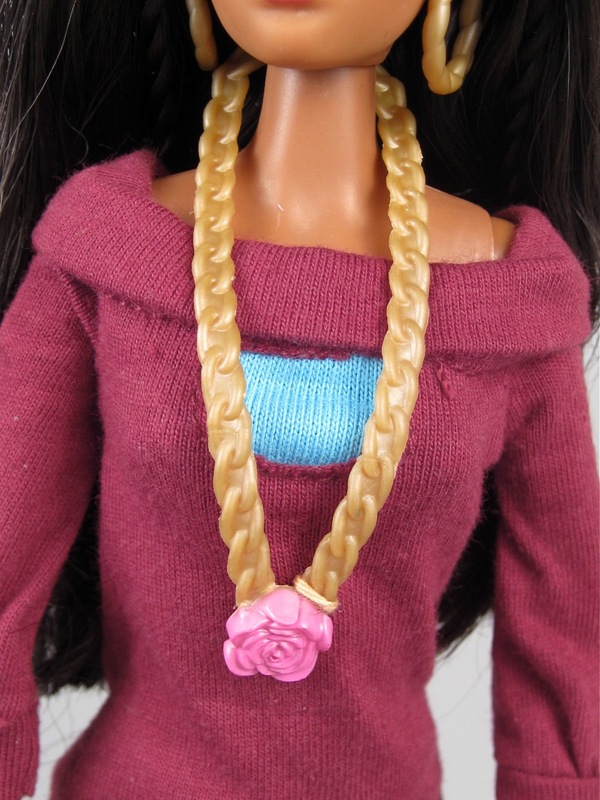 I also think that the plastic jewelry detracts from the quality of the outfits--particularly in the case of Dahlia's clunky necklace. 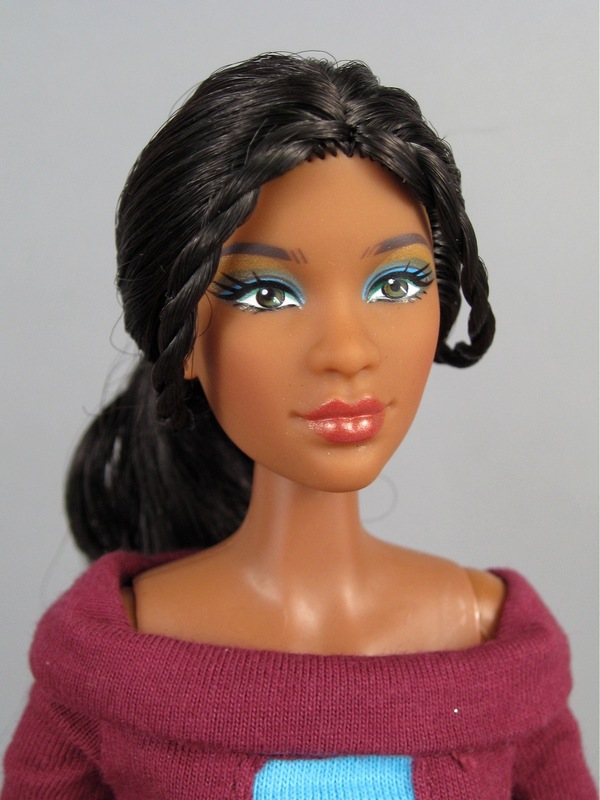 To me, the best thing about the Prettie Girls line is the ethnic diversity of the characters. 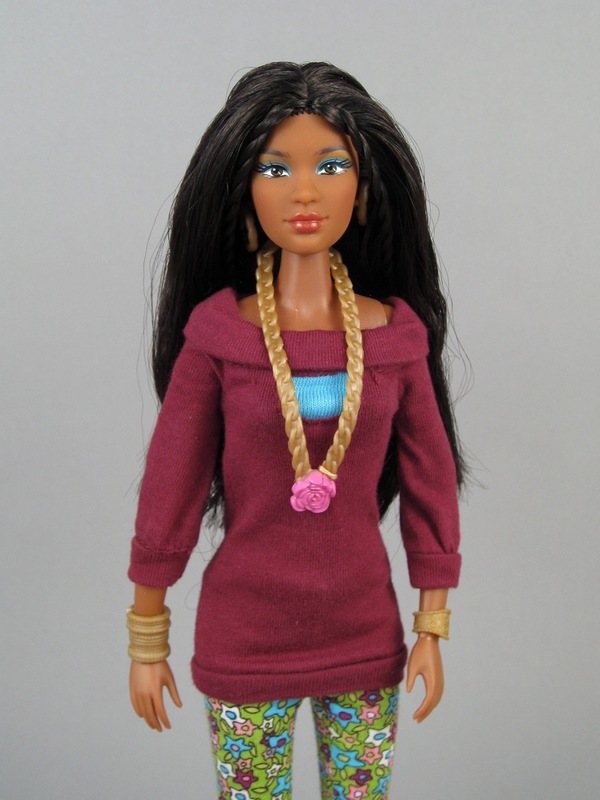 I like that each doll has a different skin tone and cultural background. The dolls all have the same face mold, but the shape of that mold is surprisingly suitable for representing different ethnicities. I am often reluctant to purchase multiple dolls with the same face, but the differences in paint and coloring make the Prettie Girls look individual enough that I would be interested in owning them all. Having said that, it would be fun to see more variety in facial features with future releases. An East Asian character is conspicuously absent from the current lineup, and I wonder if this is because new face molds are in the works--I hope so. 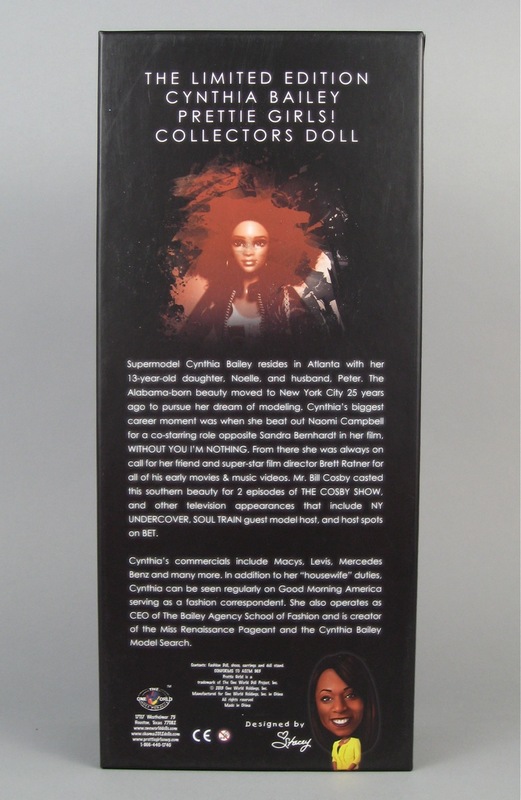 Each doll has a very detailed backstory with an interesting mix of hobbies and personality traits. The generic list of doll characters (singer, fashion designer, athlete, animal-lover, good student) is tweaked enough to make it feel fresh. 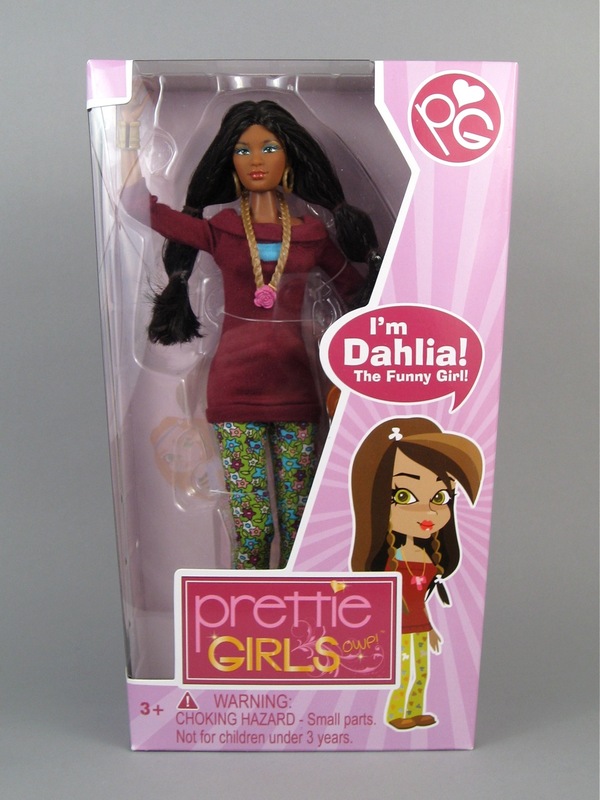 I appreciate how the dolls' biographies emphasize similarities between teenagers across the world--the idea that a girl from New Delhi could easily have the same interests and hobbies as a girl from Maine--but I also wish that I could have learned a little more about life in India from my Dahlia doll. Educational video media would be a better accompaniment to the dolls' backstories than the slightly freaky cartoons. Overall, I am a big fan of the Prettie Girls. 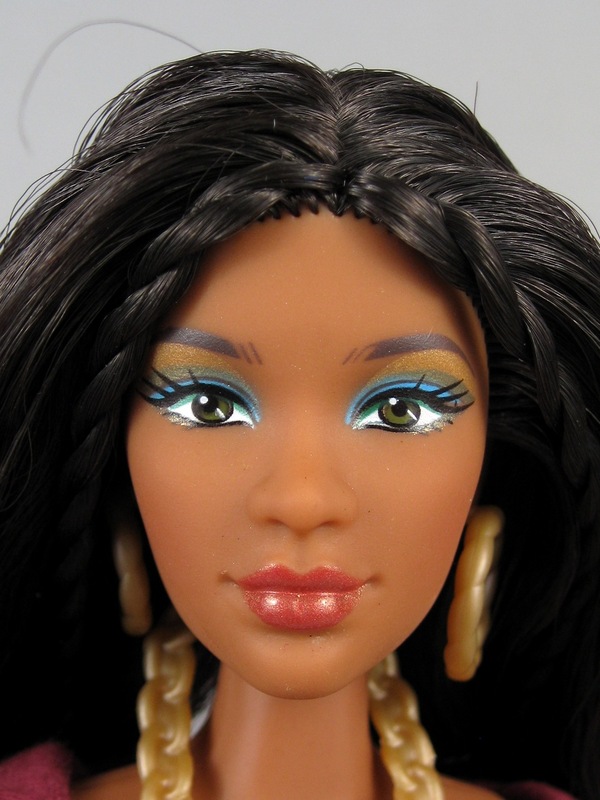 They are beautiful, well-made, culturally conscious dolls with fewer issues to work through than most fledgeling brands that I have encountered. The $25 price of the regular dolls is good, but the $70 cost of the Signature Celebrity doll is too high--Zulily's $40 was about perfect. 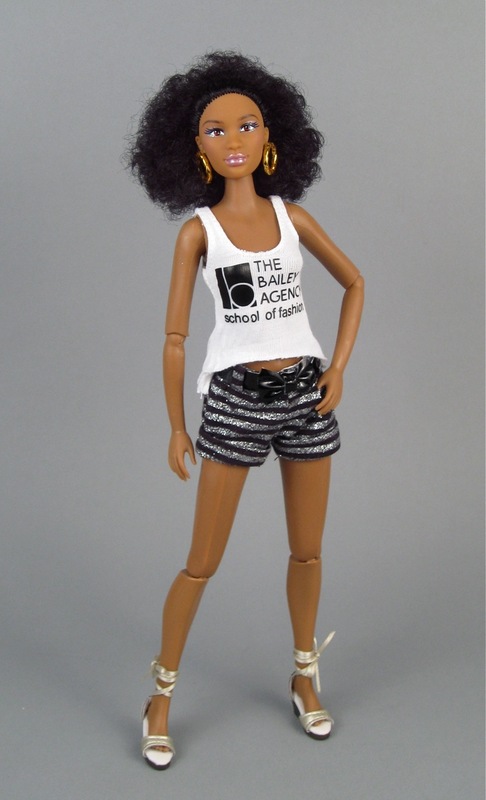 I am excited about The One World Doll's Project's upcoming collaboration with Robert Tonner...this seems like an excellent next step for what is already a very promising new doll company. I've been eyeing up this line ever since they were first announced, but can never decide which one to try and actually get hold of. The close up shots of Dahlia's eye make up might be swaying me though, it's gorgeous! I really appreciated seeing these two dolls together. 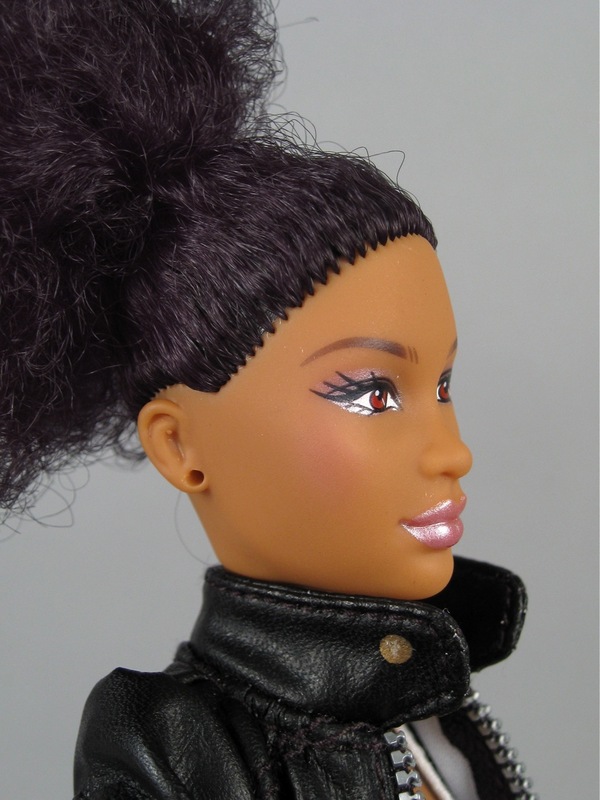 I have Dahlia, and had been thinking that I could skip the others because of the shared face - I was surprised to see just how different the Cynthia Bailey doll looked. Maybe I will be picking up another one now! For what it's worth, the lack of obviously "foreign" trappings was one of the major selling features for me - I'm usually frustrated with how ethnic focused most South Asian character dolls tend to be, so I thought the complete lack of that here was extremely refreshing. Nice comparison! 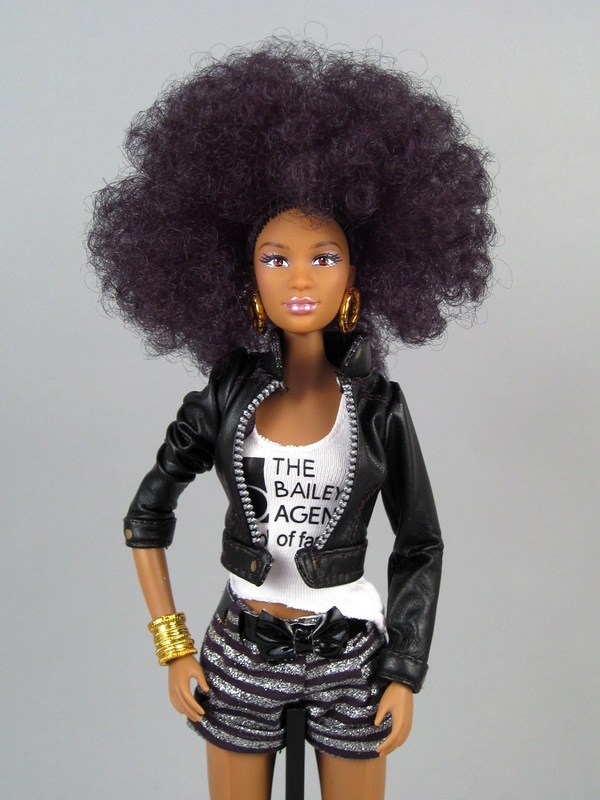 I wonder if the pants from the Kenya fashion dolls would fit the Prettie Girls? 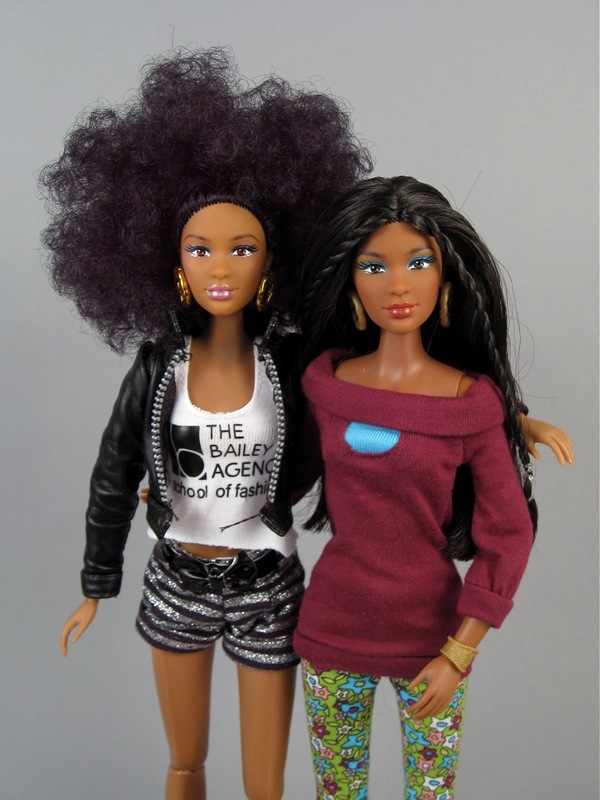 I think I remember them being proportioned similarly to these dolls? I can't get over how gorgeous Dahlia's faceup is. It really does look like the same mold as Cynthia's, but those colors just make her eyes stand out beautifully! I think she's my favorite of the two, even if Cynthia is the more expensive doll. Note: Opal might fit Dahlia's pants. My Opal could wear Prettie Girl Lena's baggie pants. But she barely fit Lena's cotton shirt. . 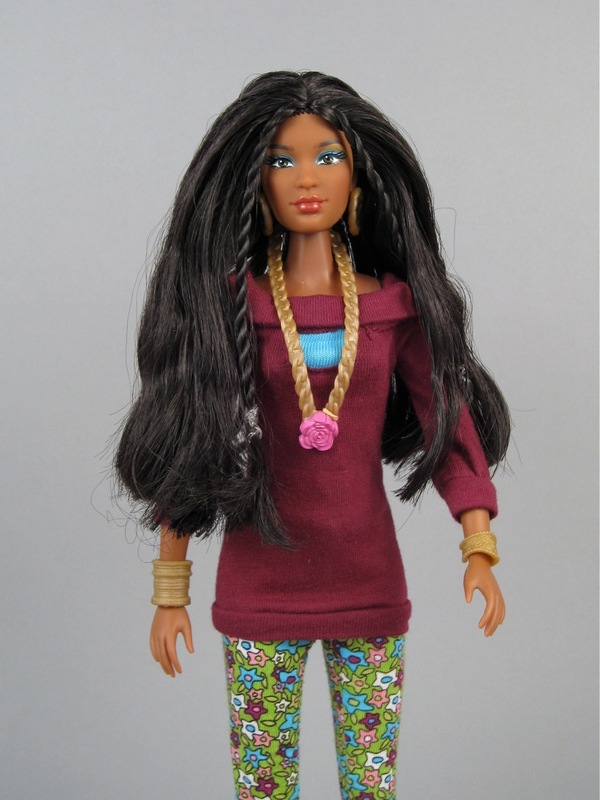 I see that One World Doll Project has removed the early photo they had of Alexie. Interesting. Honestly I think she would benefit from ankle joints as well since the range of shoes seem to be all kinds of different arches. Ironically if Lammily and Prettie Girls combined all their articulation it would make a decent jointed doll lol. 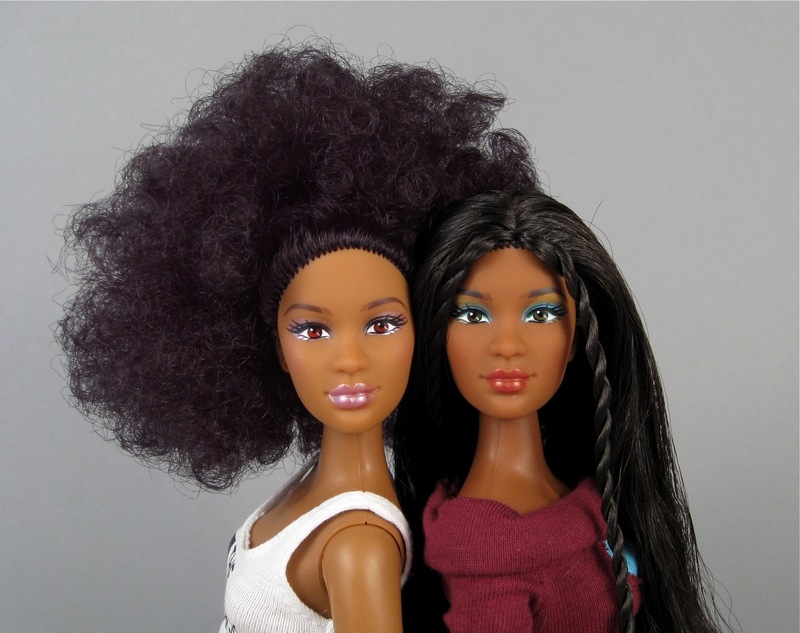 I know they're nothing alike but they both seem similar in creating more diversity in the doll world so I'd like to see comparison pics of the two lol. Woosh... you weren't kidding about those cartoons being freaky. I'm a little disappointed with the same face mold being used on every doll. To me, collecting all of them would be very repetitive. I like Dahlia's hair and clothes, she seems really cute to me, but Cynthia's shirt seems cheaply made, especially considering the price she's sold for. I agree that it would've been fun to have a short bit on each of the doll's lives, and how they're different across the globe, along with what is the same for everyone. I really have to wonder how many little girls are actually interested in fashion design. 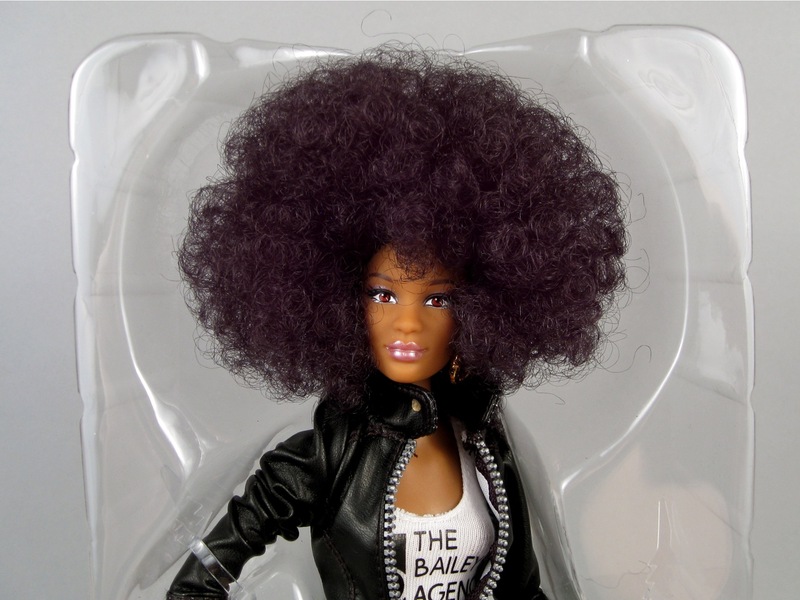 I feel like so many dolls and products are out there with fashion design themes, but me and all of my friends were never ridiculously into those things. Sure, we made paper doll clothes and liked to dress up our dolls, but I don't think any of us wanted to be fashion designers when we grew up. (Although I do love making costumes for theater... heh, maybe I'm being hypocritical?) I also feel like the themes of general athlete and animal lover are used to death. Make the athlete more specific. Is she a gymnast? Pole Vaulter? Swimmer? And I love animals so so much, but please, be original! Is she passionate about stopping circuses from exploiting wild animals? Is she worried about the stray dogs in her neighborhood? Does she just have a thing for octopi and sharks? 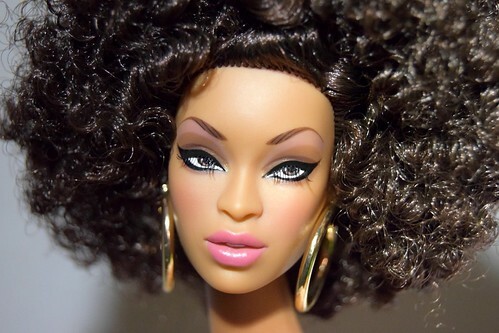 In my opinion Prettie girls seem like a barbie wannabe that didn't put enough thought into what makes them special. I love the diversity and the acronym themes, but I feel like they needed to build off of that more than what they did. Also, this is just me being nit-picky about the facemolds, but I feel like the lips are really big. Just me? My 5-year-old is very much into fashion design. It also helps that her mommy is a designer, and so she's used to picking a gown out of a painting a museum, and helping pick the fabrics and such to bring it to life, or to go to the fabric store and choose fabric for a new skirt. She has her own real sewing machine, and has sewn a couple of her own skirts. 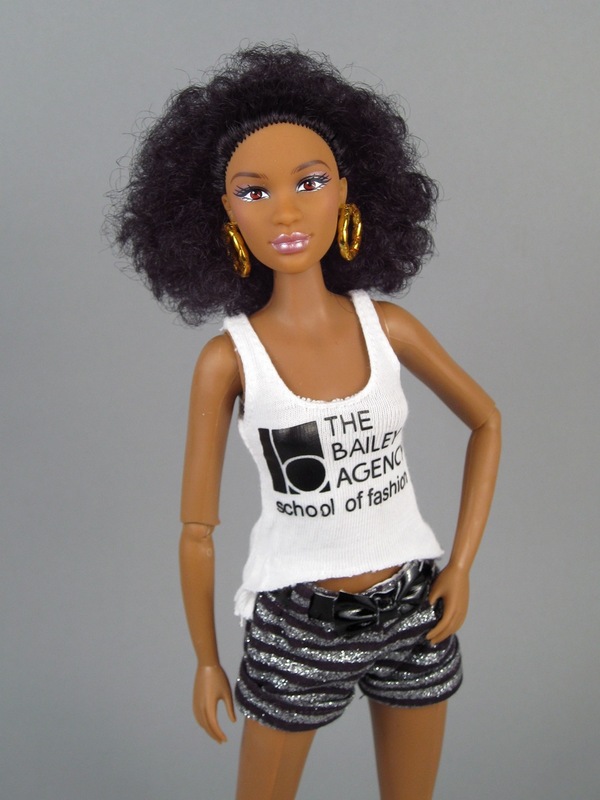 I agree though that fashion design dolls have been done to death, as well as the same very general themes. 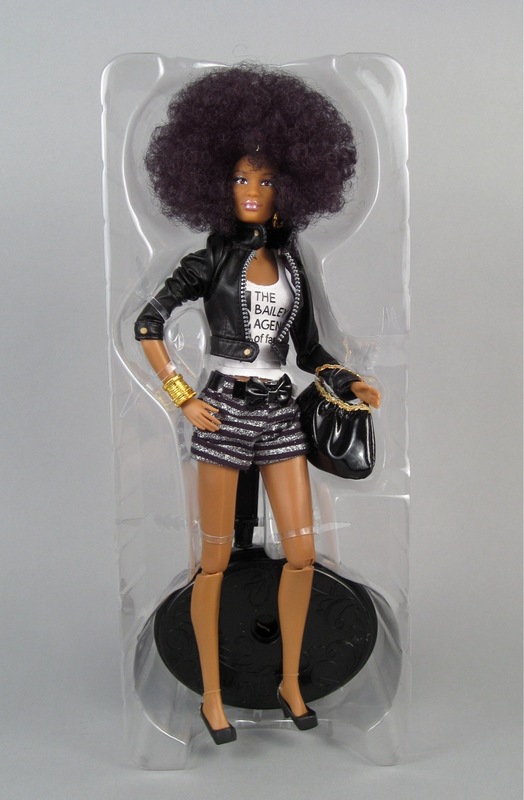 I'm sad about the retirement of the So In Style dolls, so it's nice to see a new doll line from Stacey. 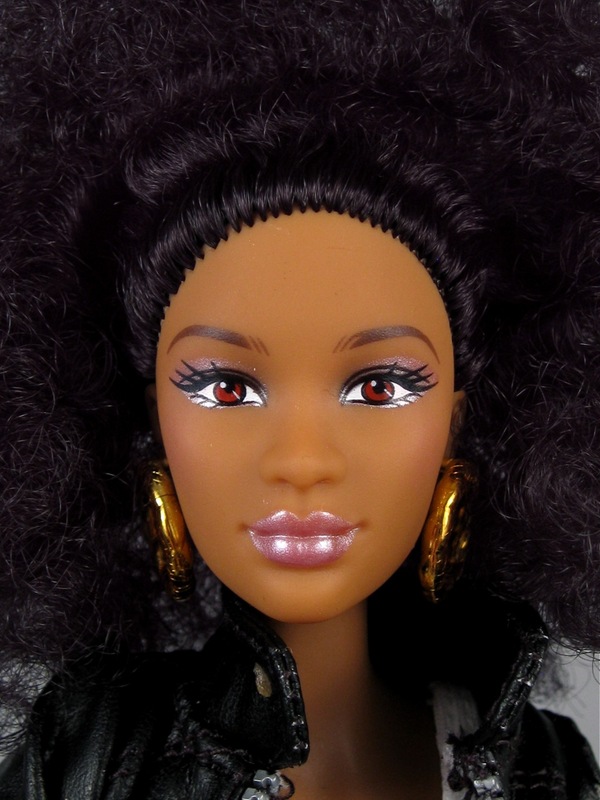 The dolls have beautiful faces, and I'm hoping to add a couple to my doll collection. Dahlia is definitely one I'd want. Thanks for introducing me to this new line of dolls. 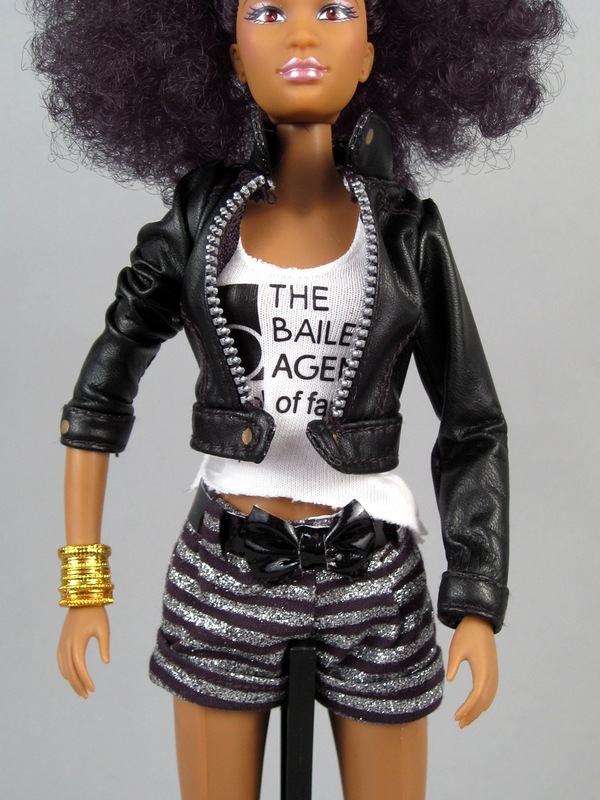 I think they're a nice addition to the fashion doll world and it's good to see Stacey McBride-Irby designing dolls again. I've been tempted by these dolls for a long time, but the articulation does seem a bit disappointing. And I really wish they had taken greater care in designing the shoes. 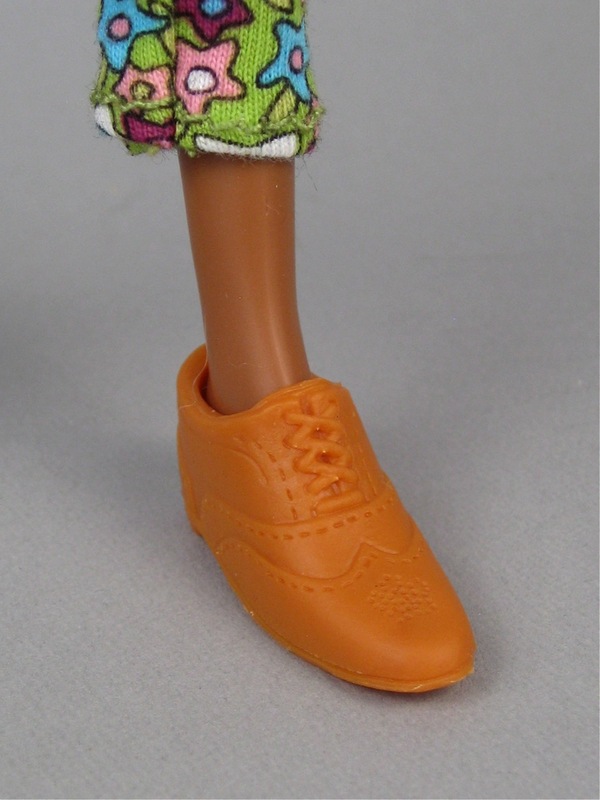 Maybe Sindy shoes would work? Hello from Spain: I really like your new doll. It is amazing. Keep in touch. 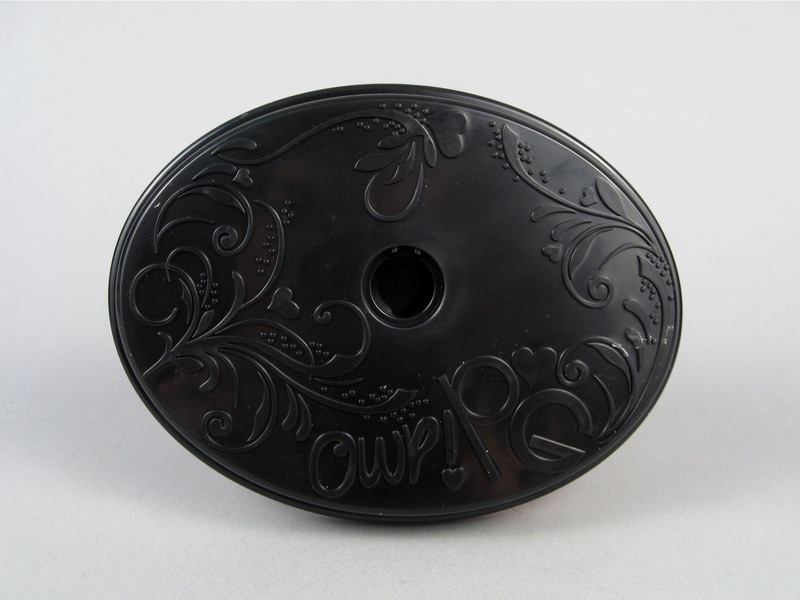 Thanks for the detailed review and the lovely photos. I passed on Cynthia Bailey because I found the price too high but your review highlights her hair nicely and maybe it makes her worth $40 (though not $70). I purchased Dahlia, Kimani, and Lena and have been very pleased with them. This is my first comment here but I really appreciate and look forward to your reviews! Thanks for the review. 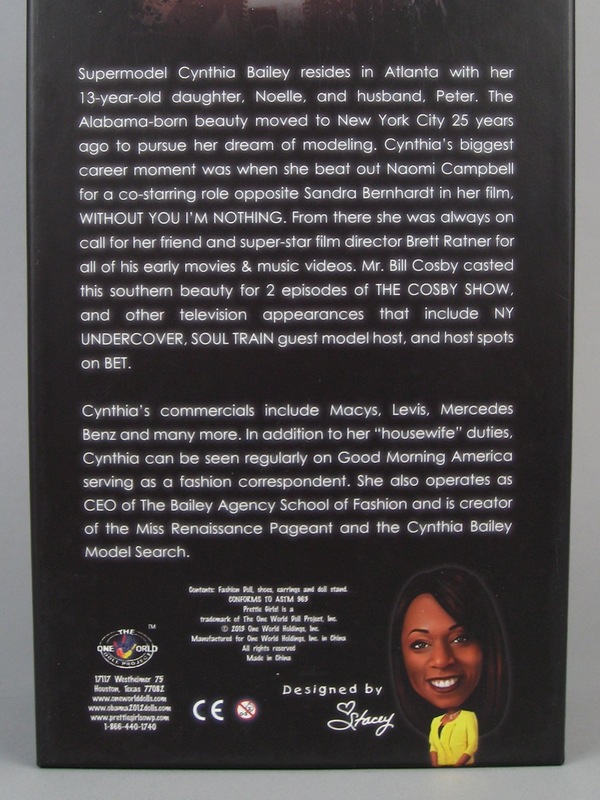 I was able to purchase Cynthia Bailey at a discount rate on Zuilly. I could not justified paying the $70 for her. 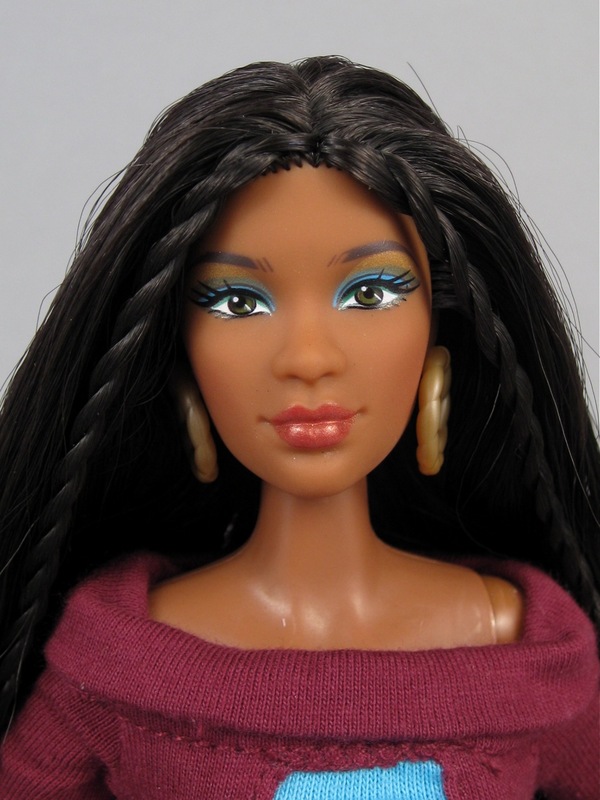 I liked her but her features were to similar to the regular Prettie Girls line for me to pay the higher price. I have added her to my model collection. Seventy dollars is insane for these dolls. You'd be much better off spending more and getting a Lizette. This line seems dull. 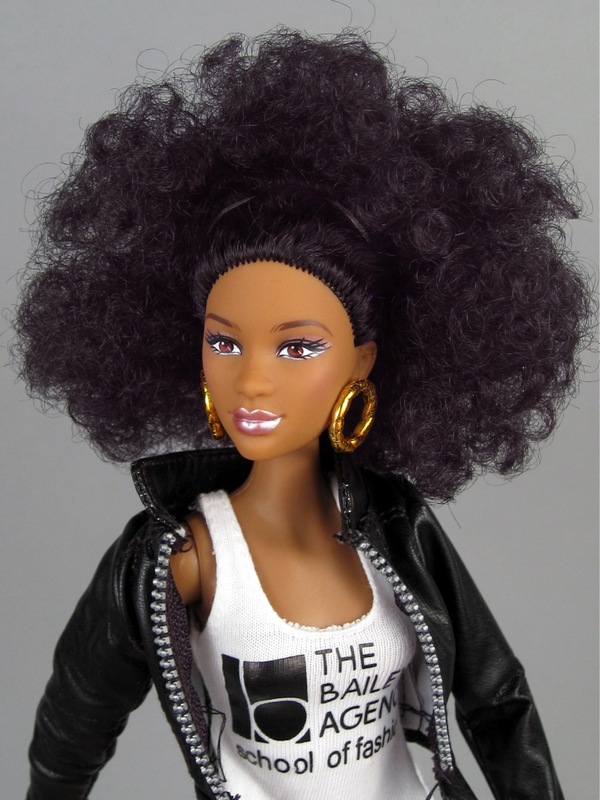 It's not doing anything that Mattel's Barbie is doing and better. I saw all 4 basic dolls at my local grocery store around christmas for $14.99 each and found them quite interesting and hoped to pick one up. I went to the store 5/15/15 looking for shopkins and happened to see them on the end cap marked down to $5 each. I was sad to see so many still on the shelves (not even sure they sold any as I have just seen them moved from shelf to shelf since they got them in) but also happy with my discount price that I would be paying. I was really hoping to get the red haired one (I was kinda holding out for her but the deal was to good to pass up on top of if they are discounting them like that they may not order them again) but it seems she is not getting a doll. Has anyone seen her or have her? 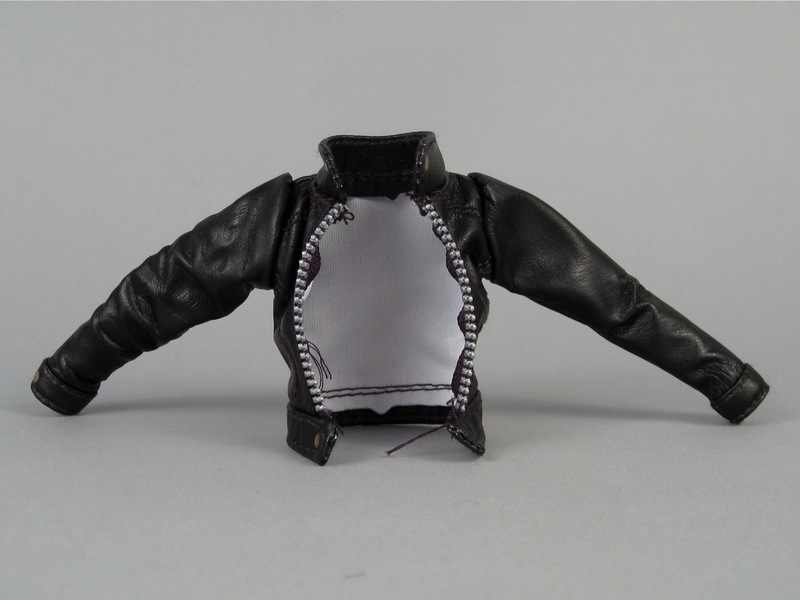 Next thing to improve in the doll factory world: purses that can be opened. Which is strange, considering that when I was young pretty much every Barbie or doll like her had a purse that you could open and put things inside, even the cheapest dolls had that, why not now? Anyway, this pair is just lovely. They even look like sisters.